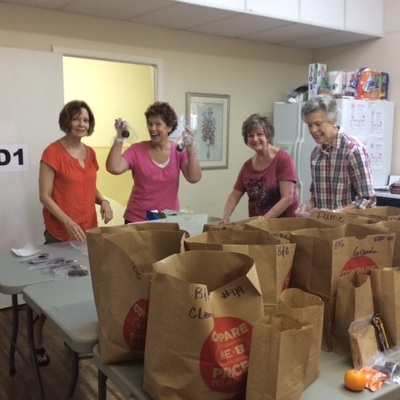 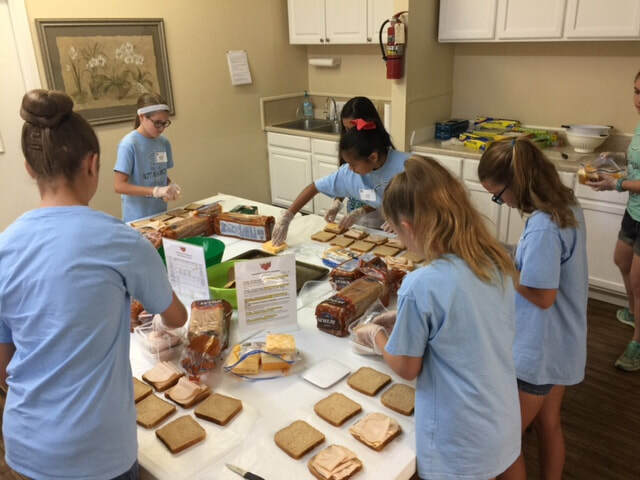 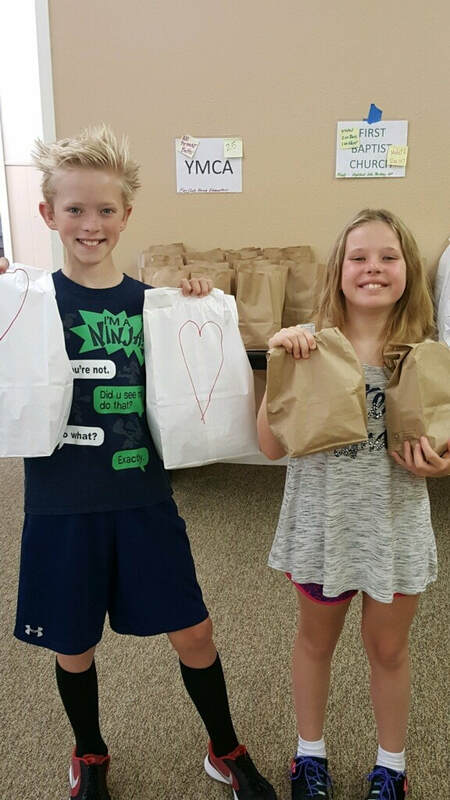 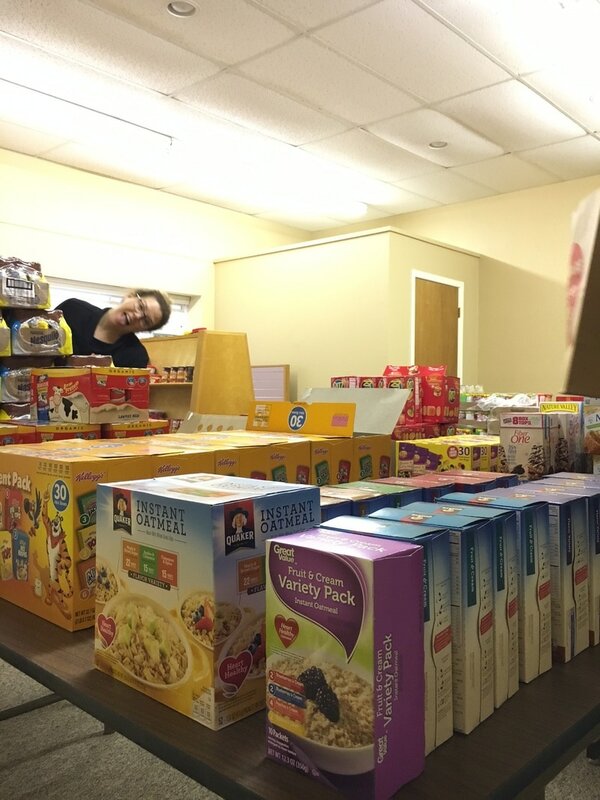 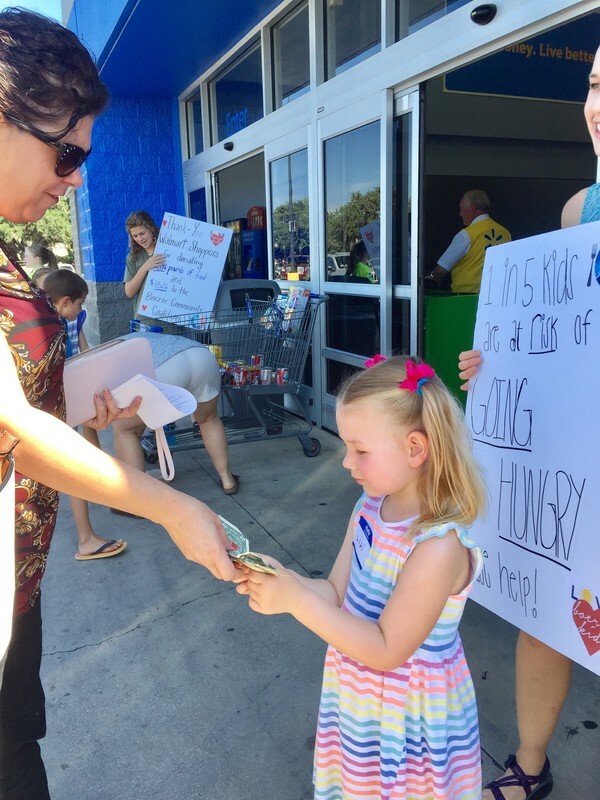 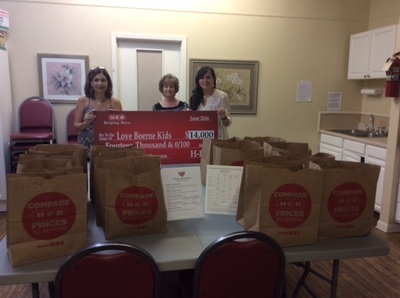 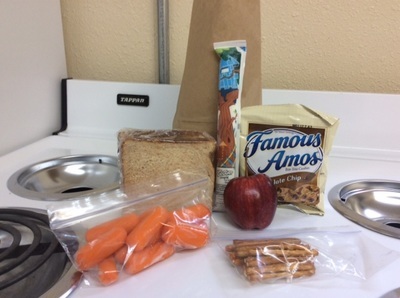 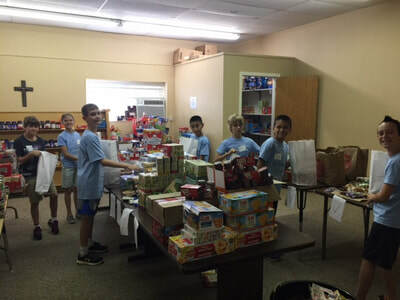 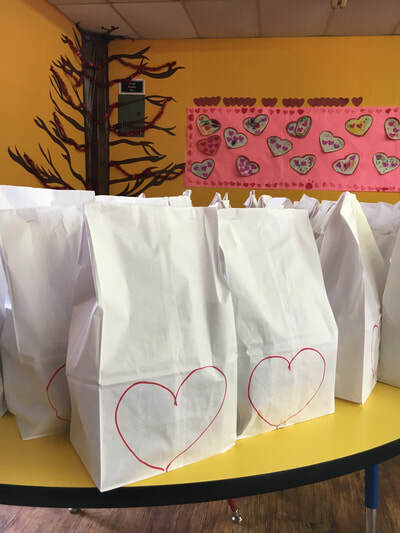 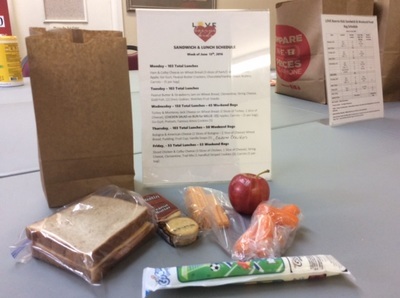 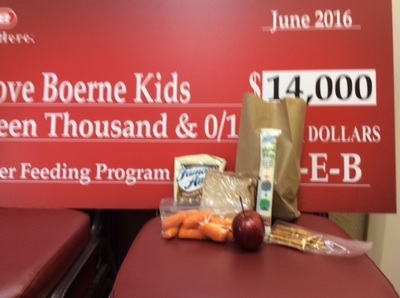 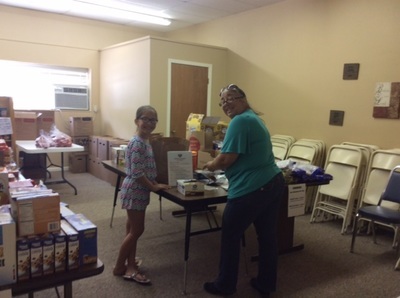 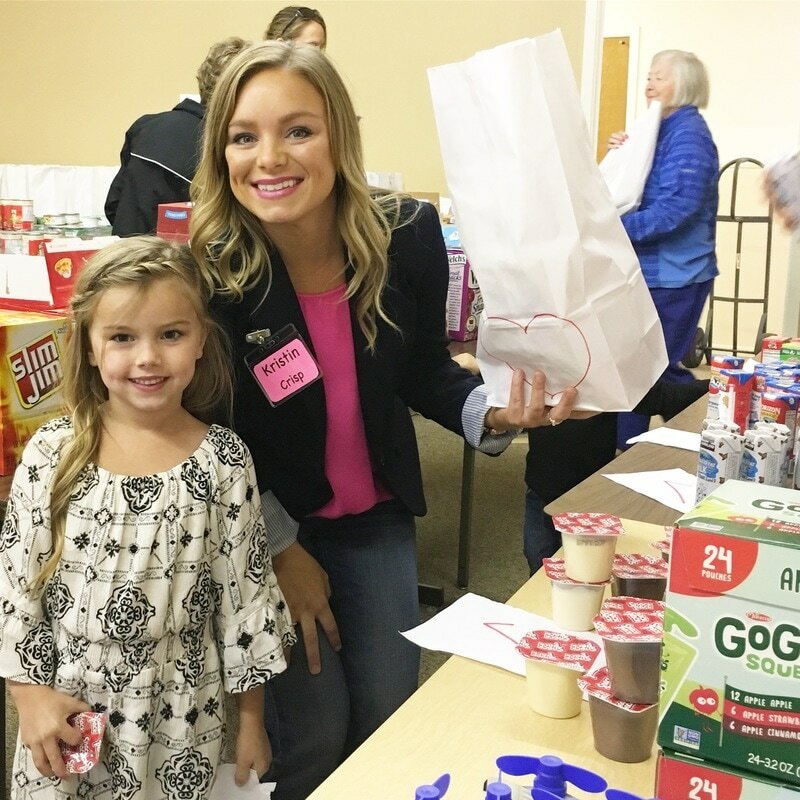 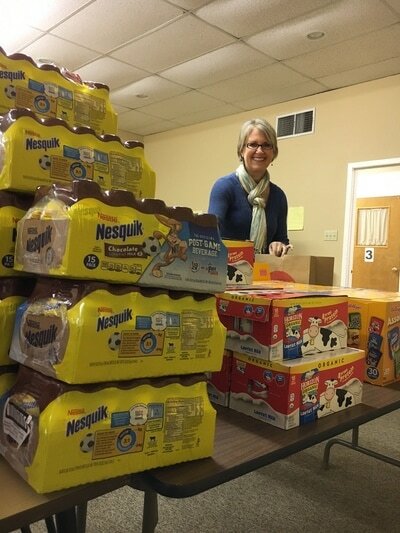 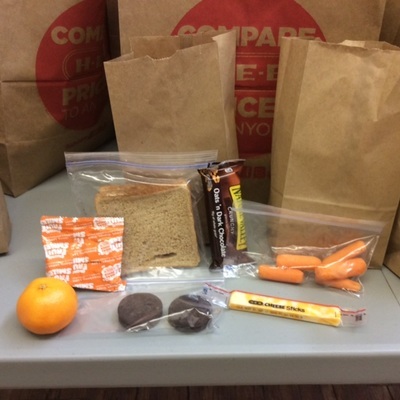 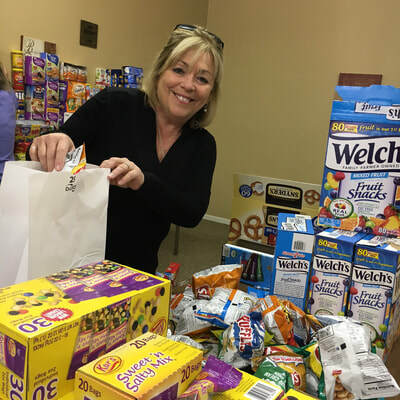 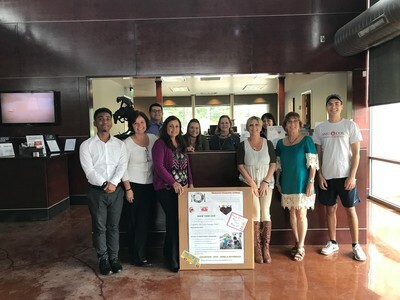 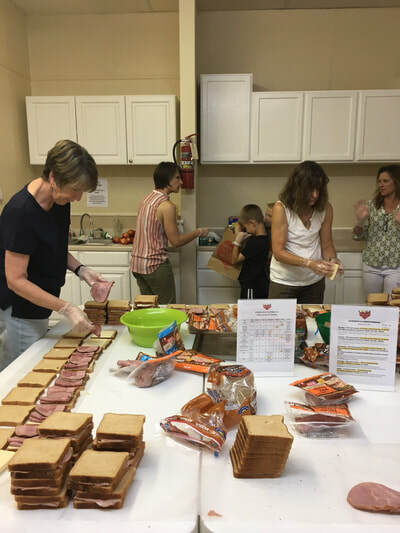 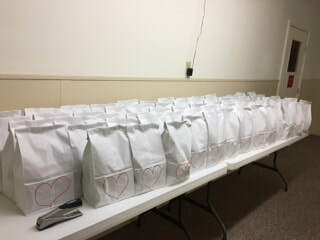 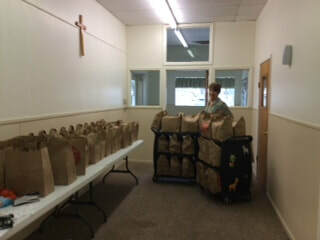 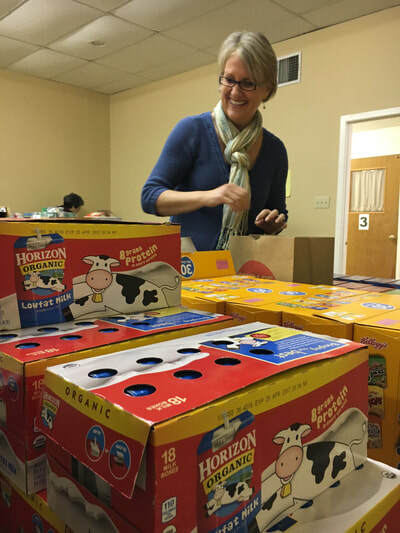 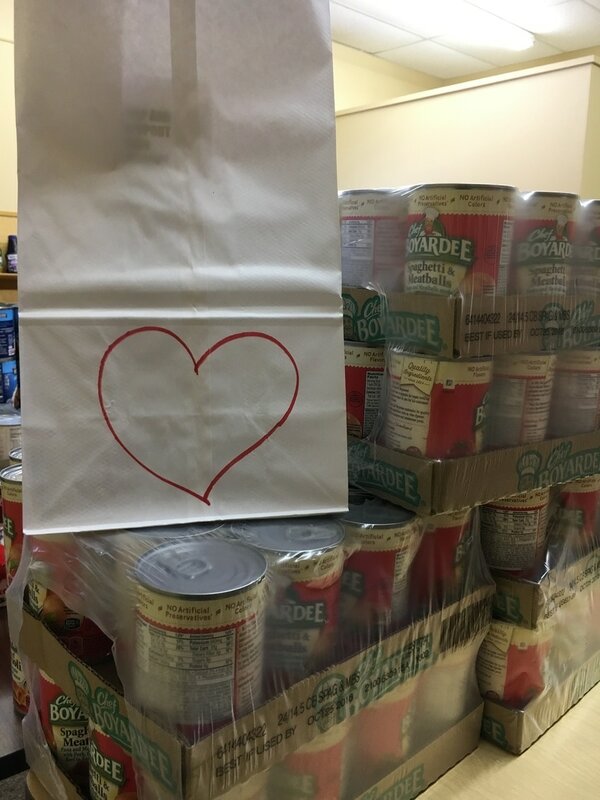 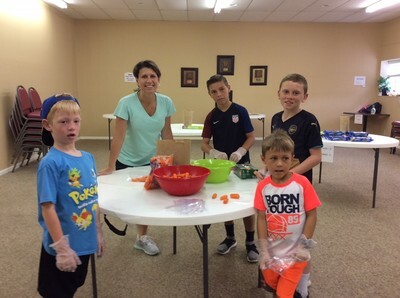 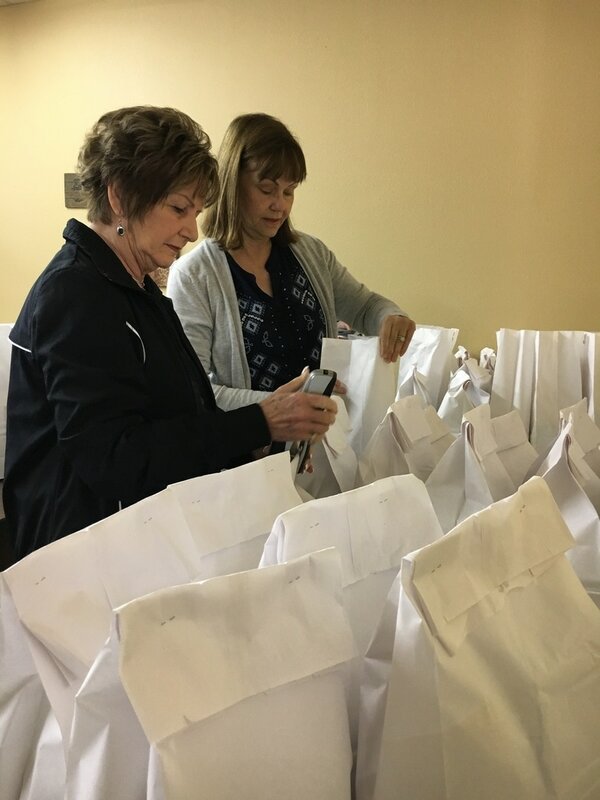 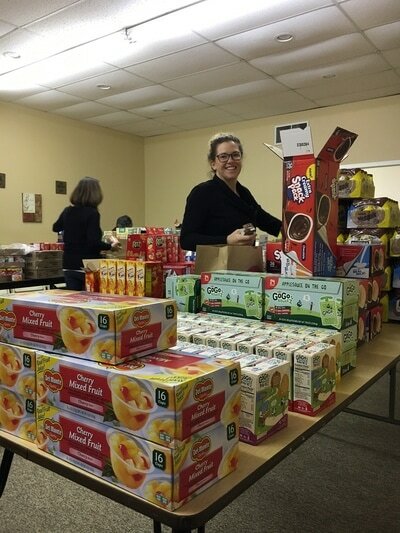 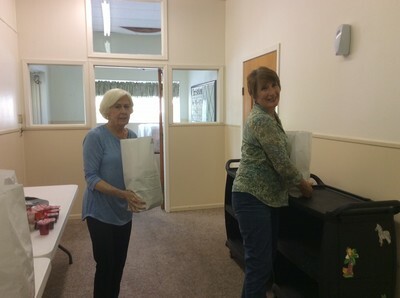 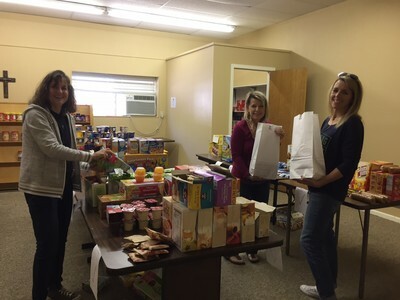 Every Thursday, noon - 1:00 p.m. we meet and pack 73 bags filled with breakfast, lunch, dairy, fruit and snack items for pre-school children who are at risk of beng hungry over the weekend. 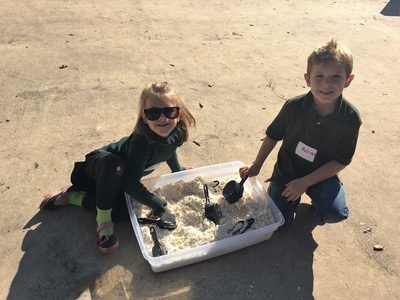 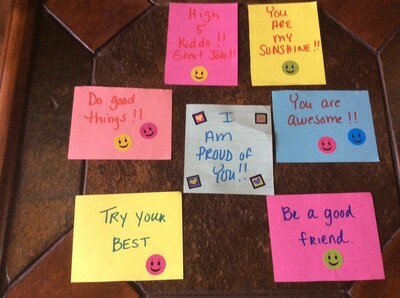 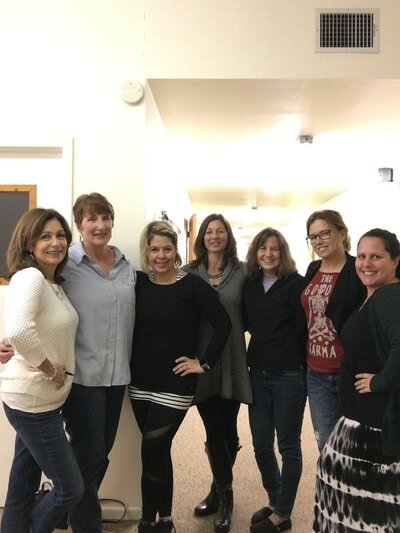 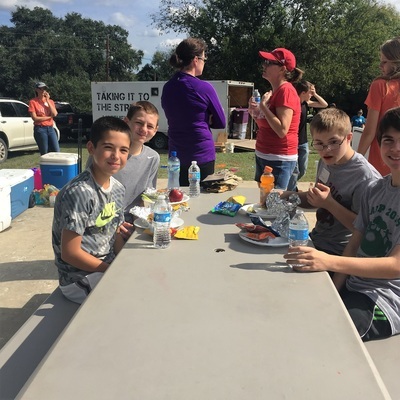 Come have fun with us - sign up! 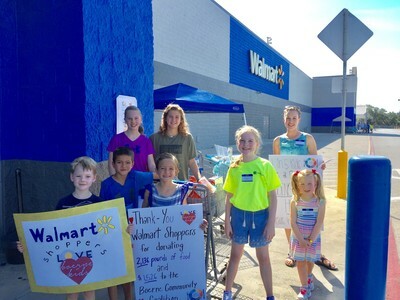 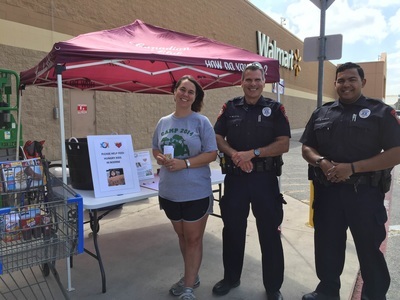 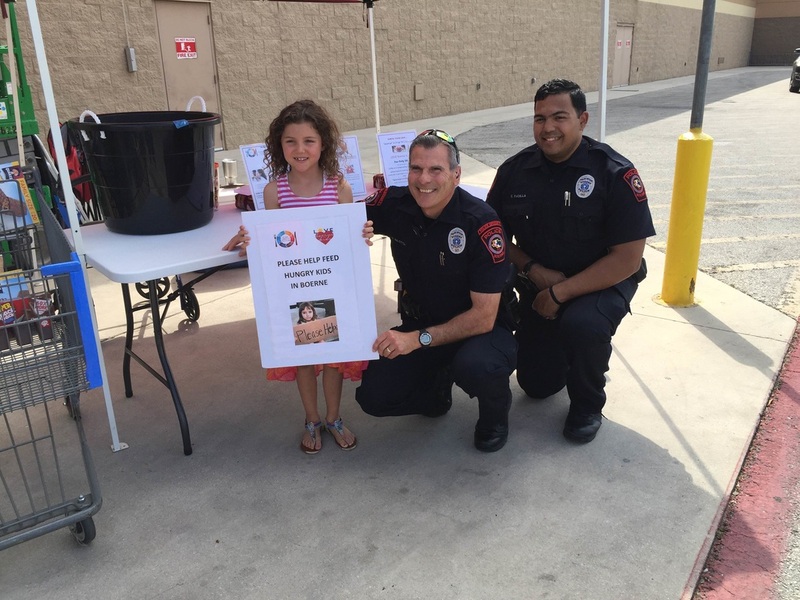 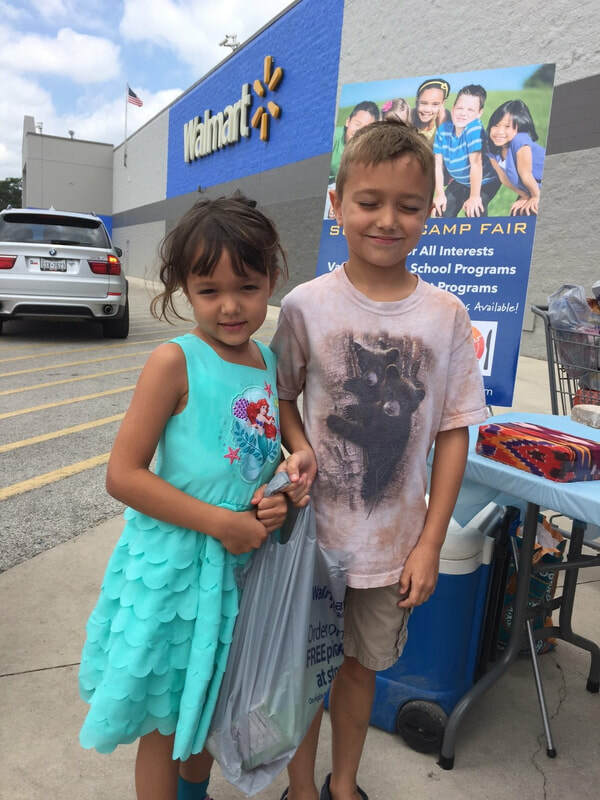 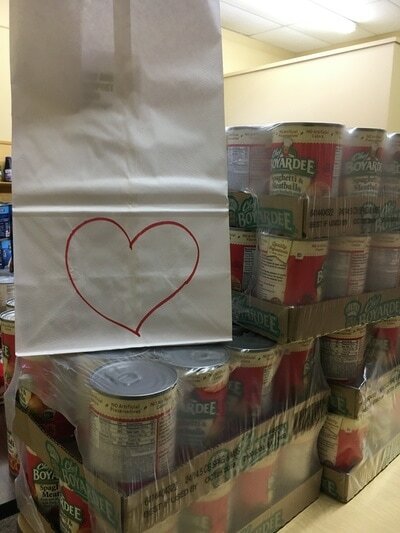 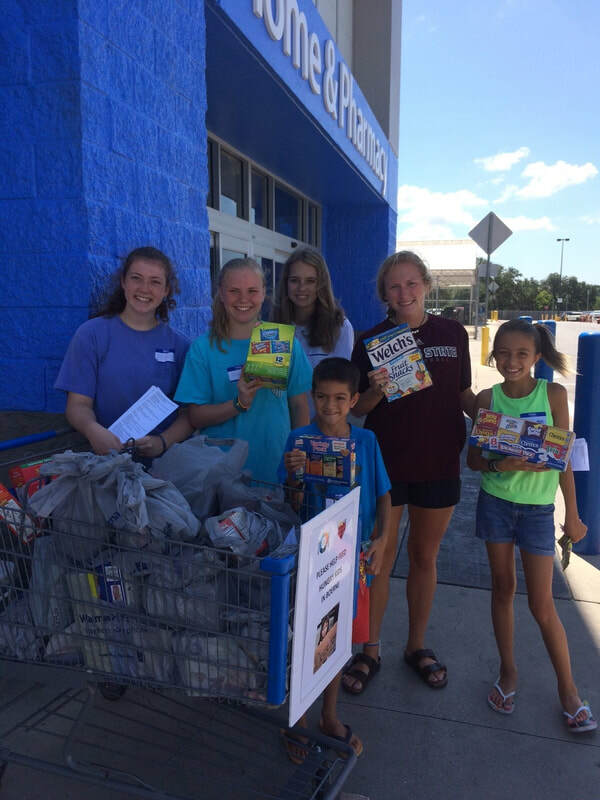 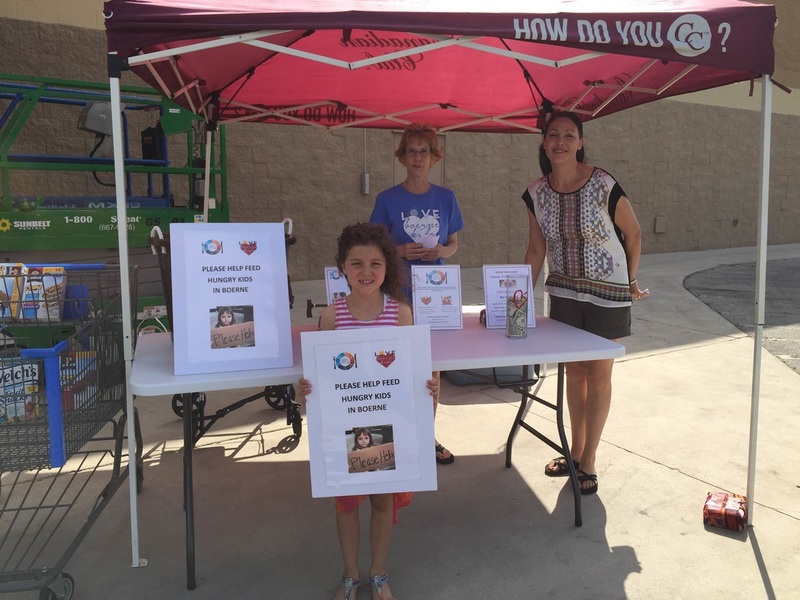 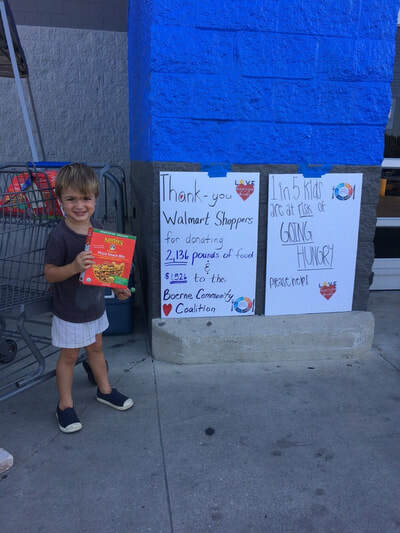 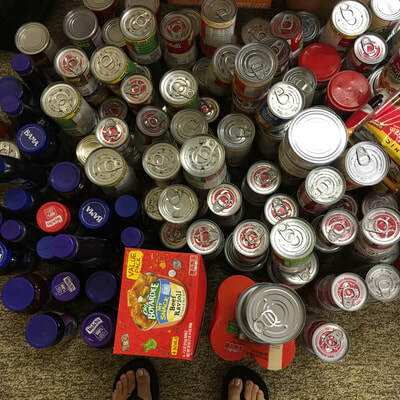 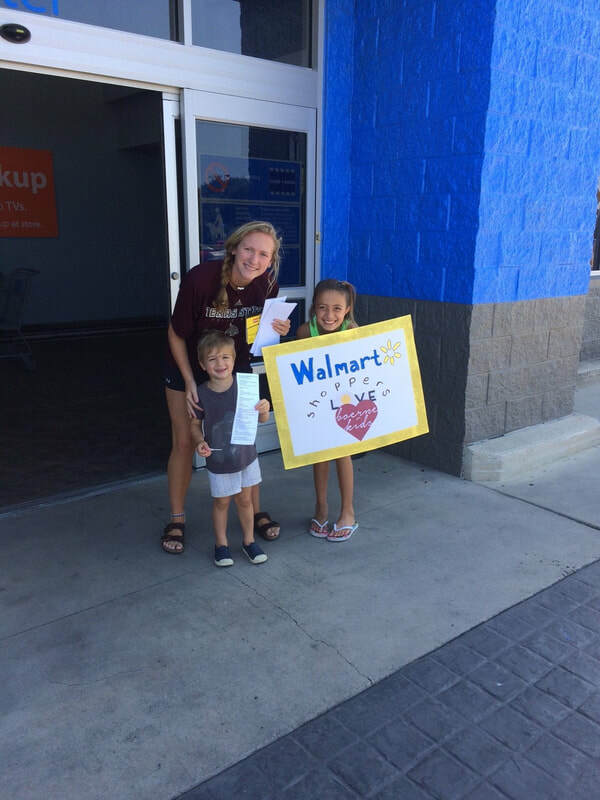 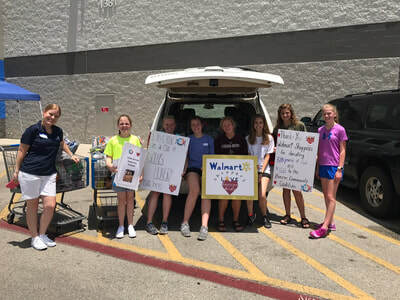 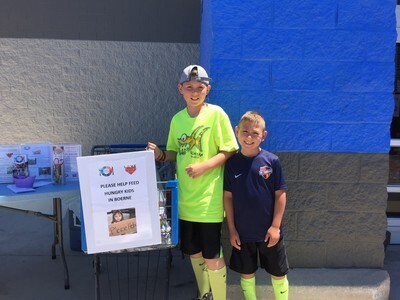 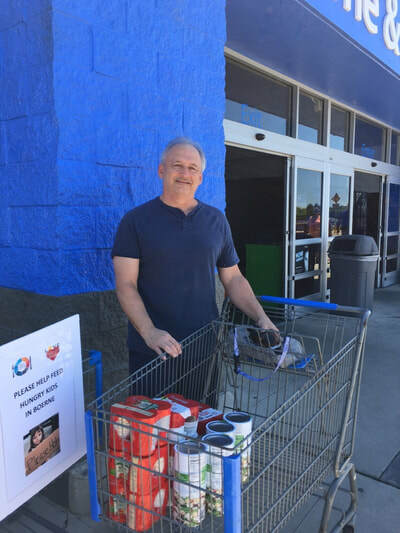 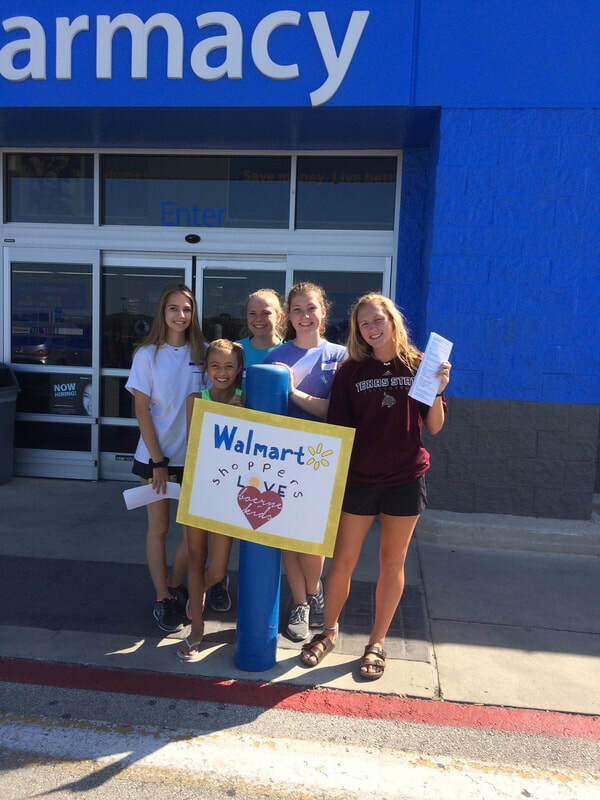 Each year we host 4-6 Walmart Fill The Cart Days and volunteers collect food and cash donations from Walmart Shoppers. It's fun and a wonderful way for the BCC to raise awareness, food and much needed funding. What An Amazing Day - Saturday, November 12, 2016! 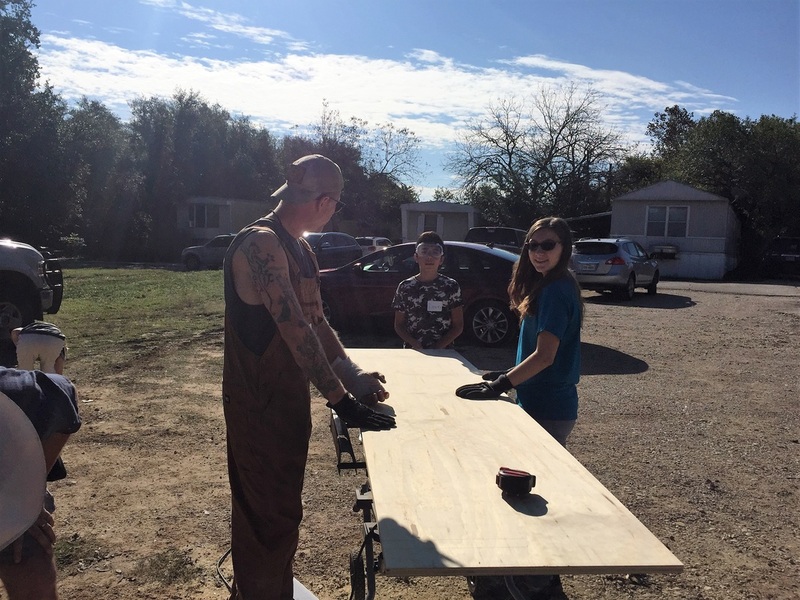 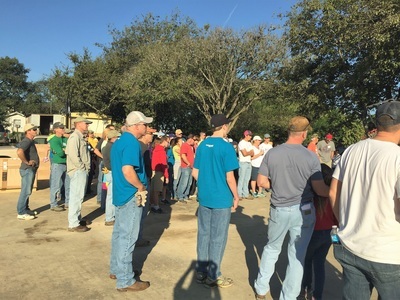 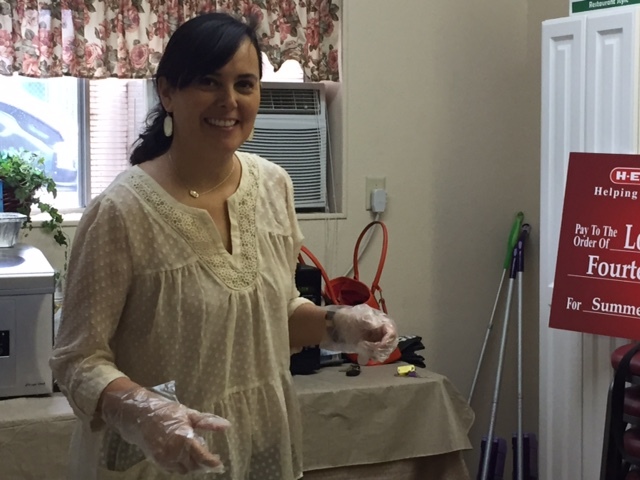 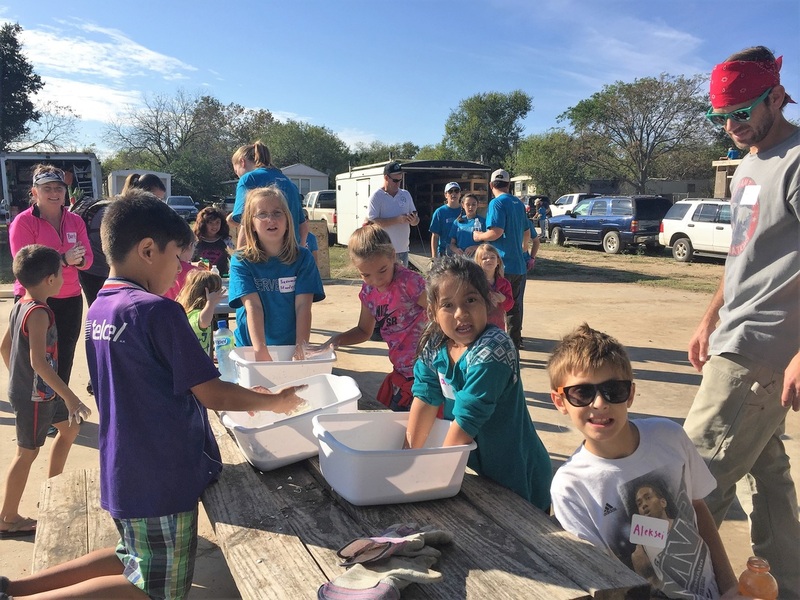 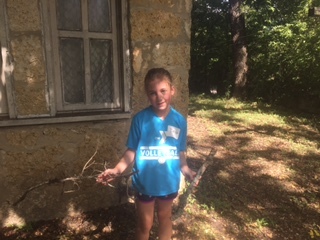 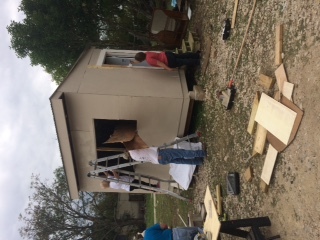 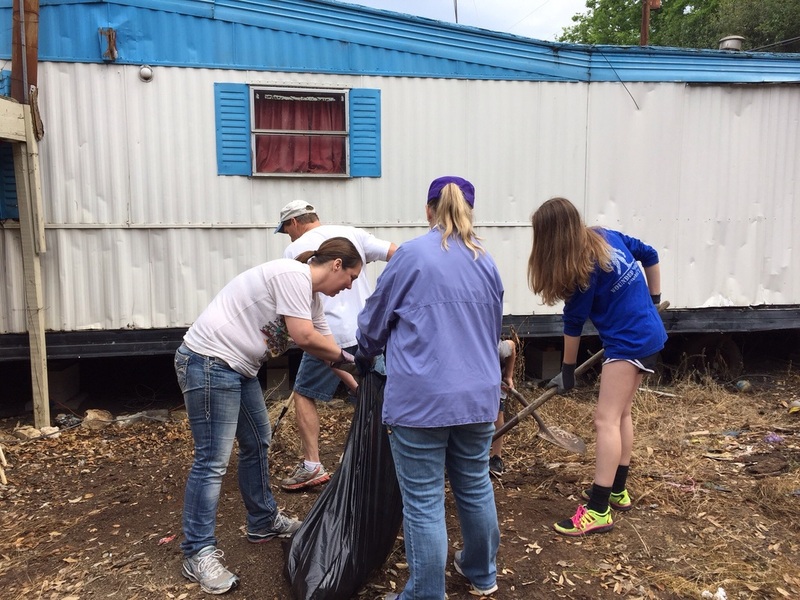 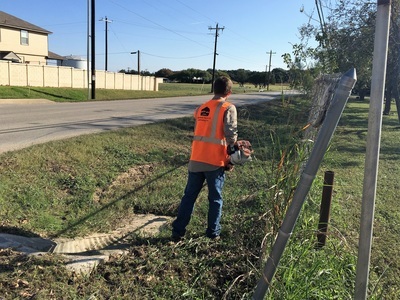 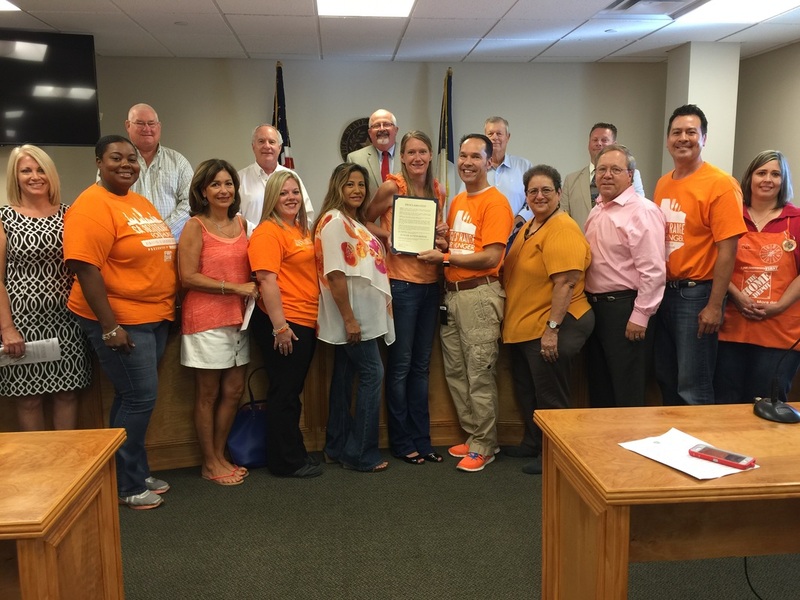 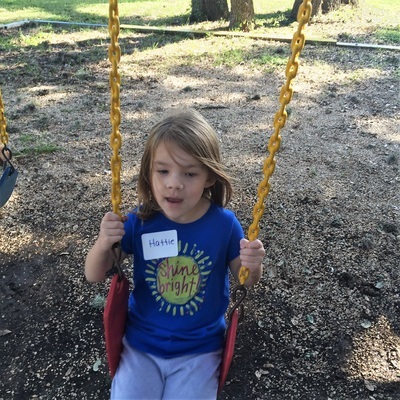 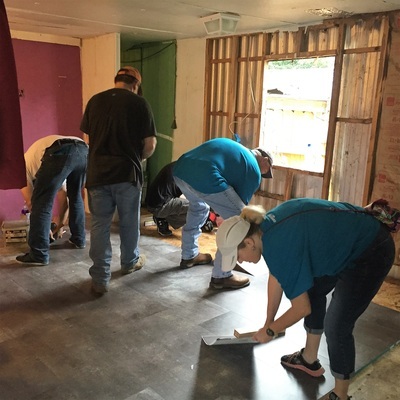 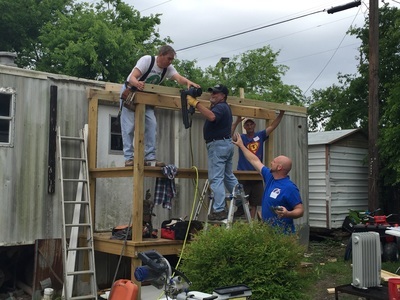 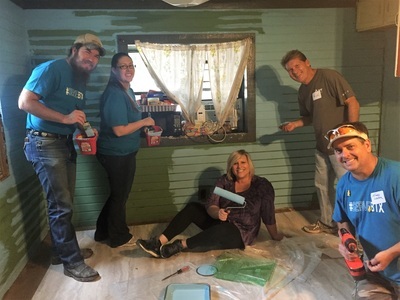 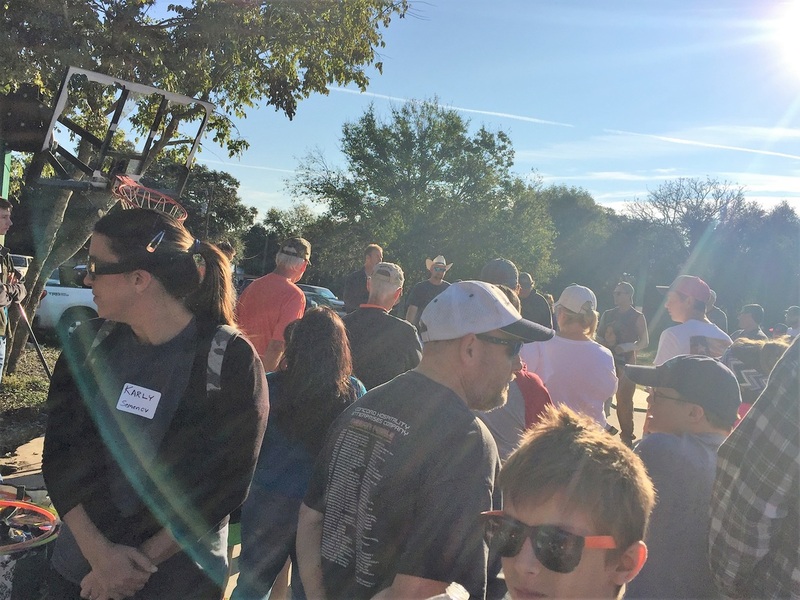 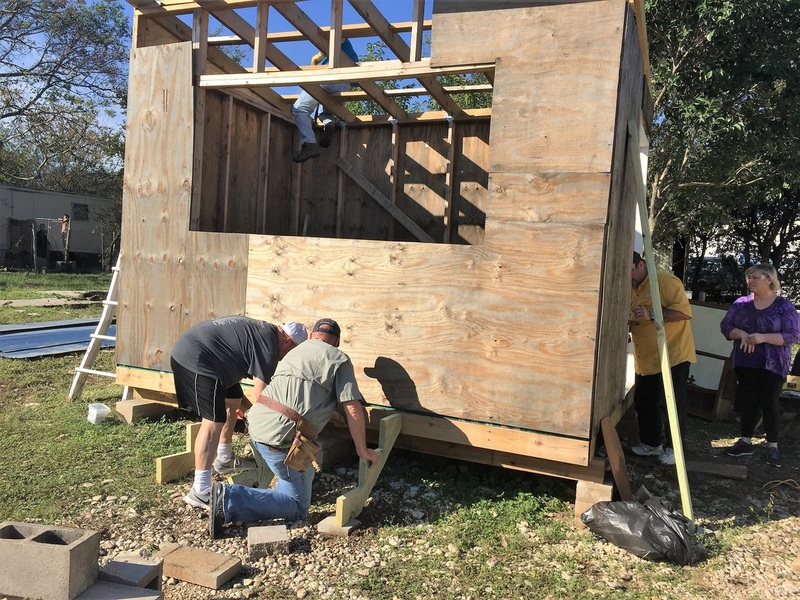 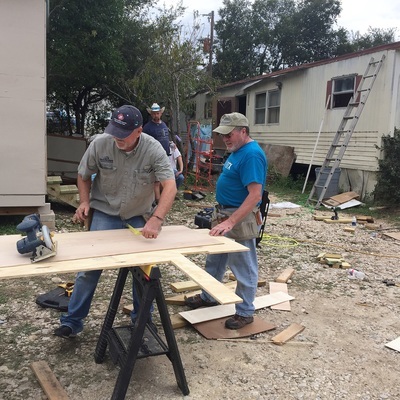 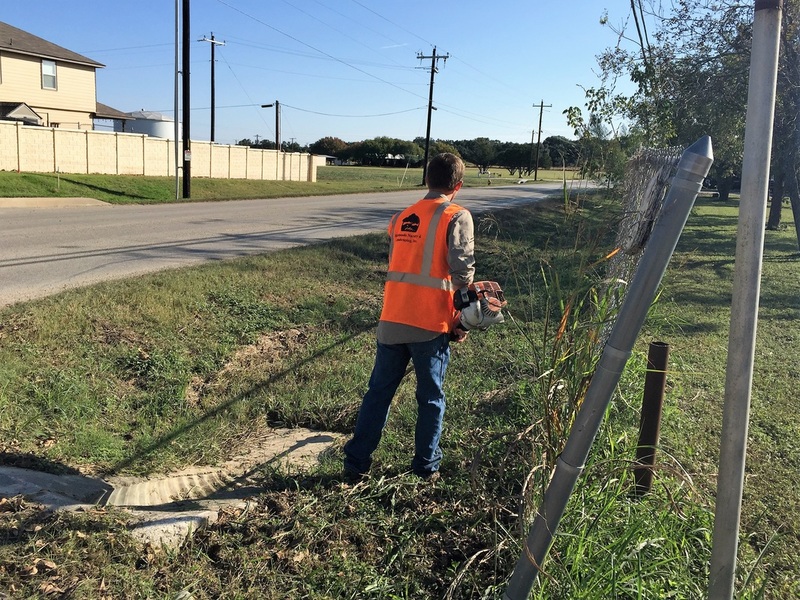 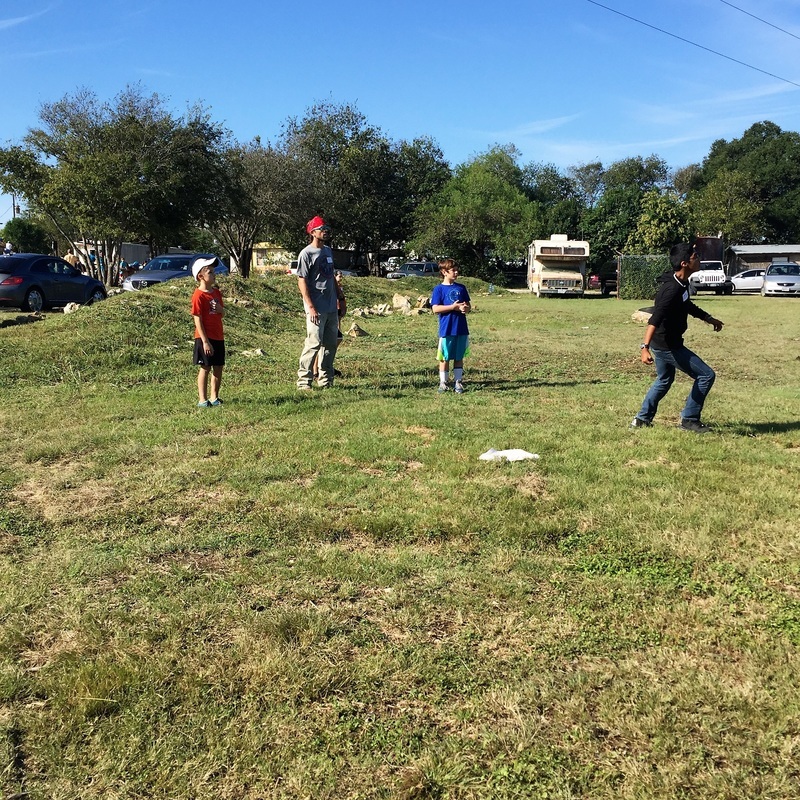 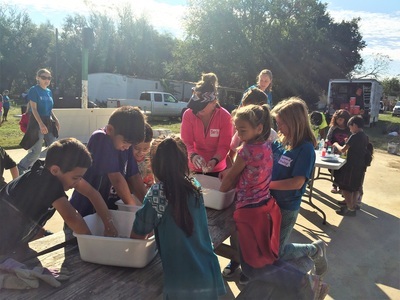 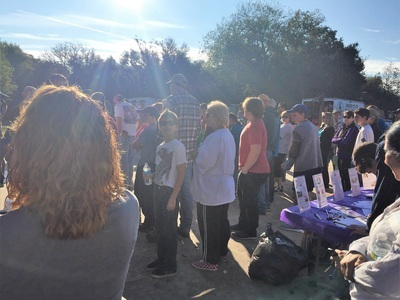 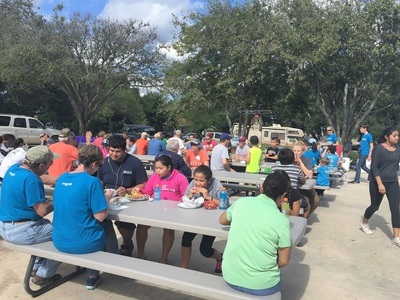 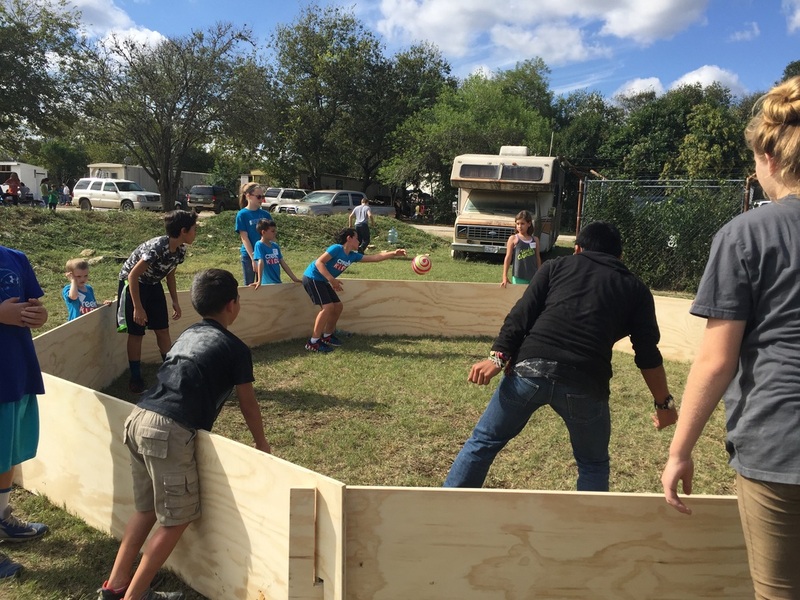 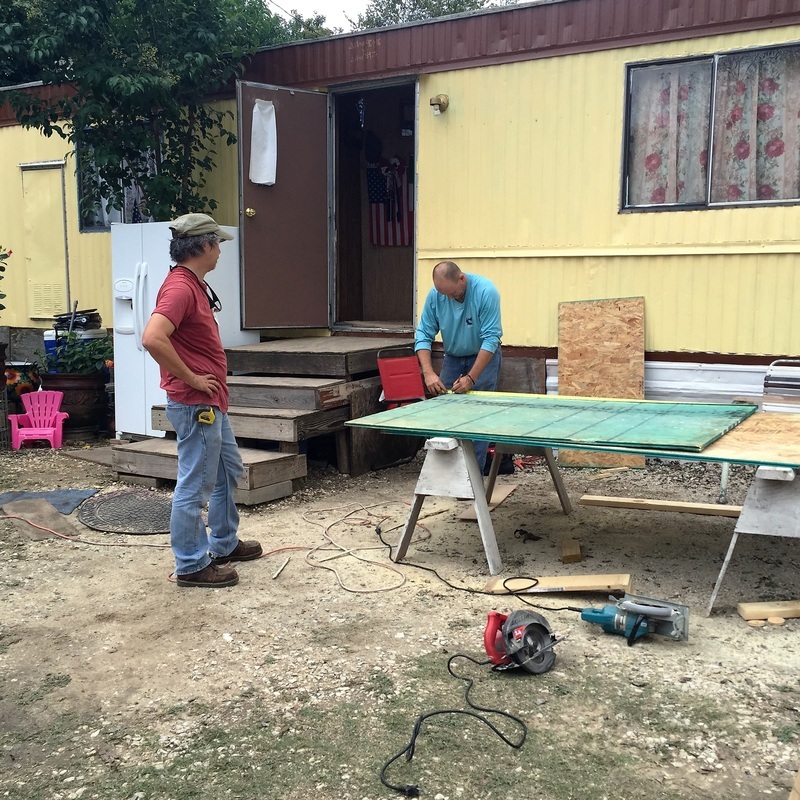 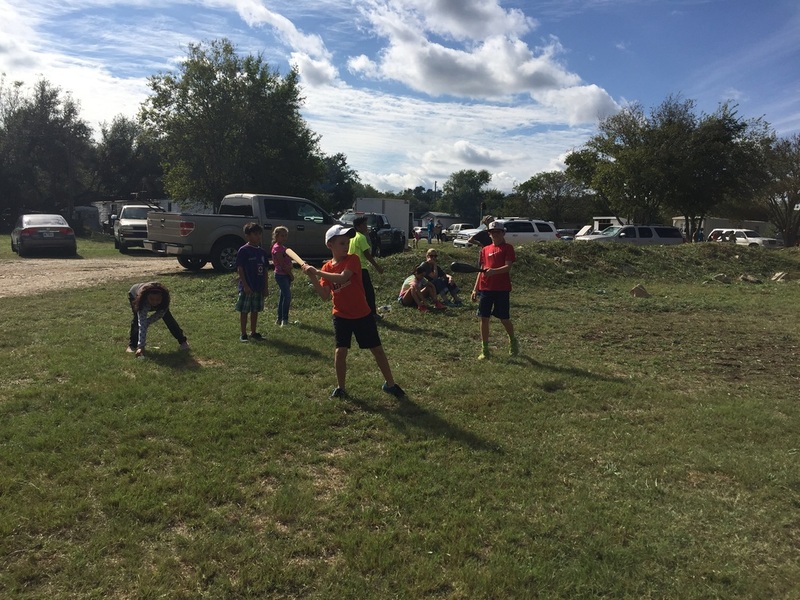 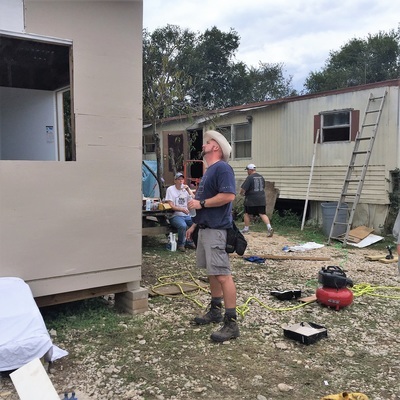 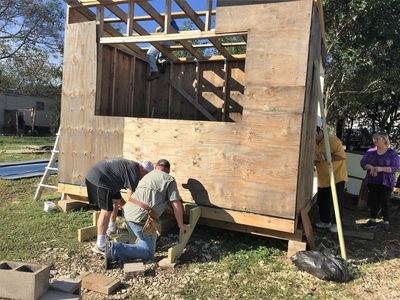 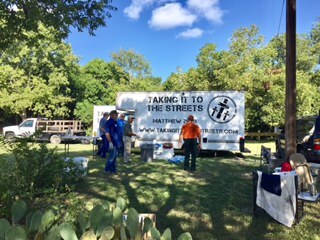 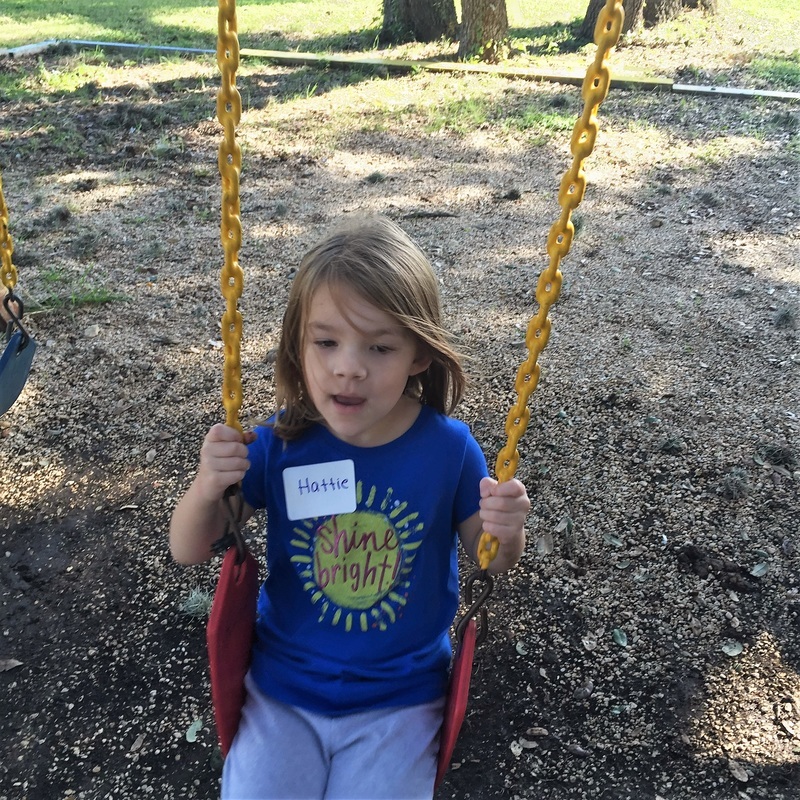 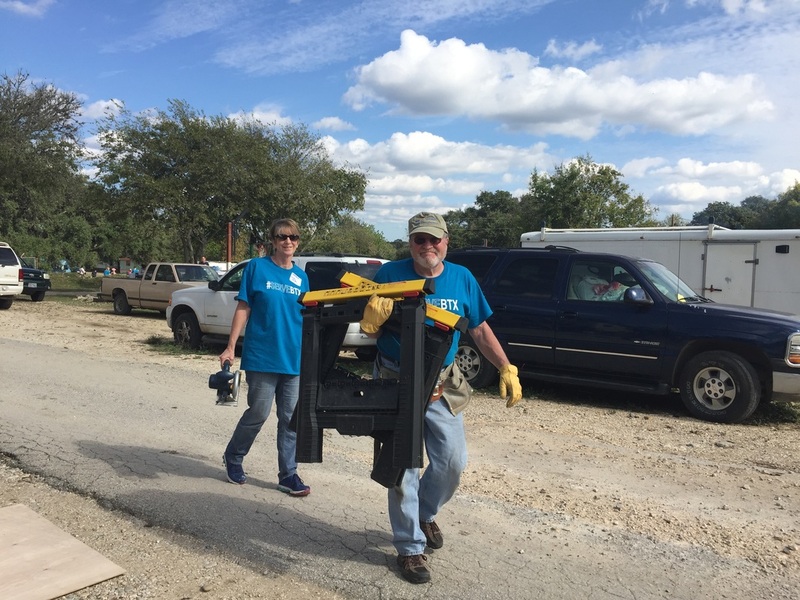 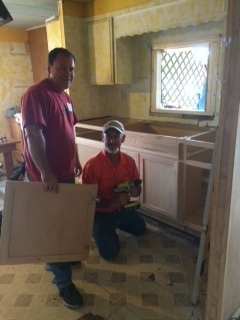 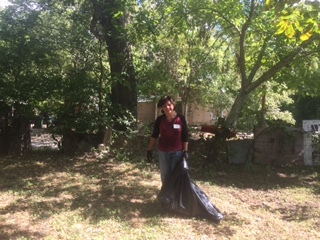 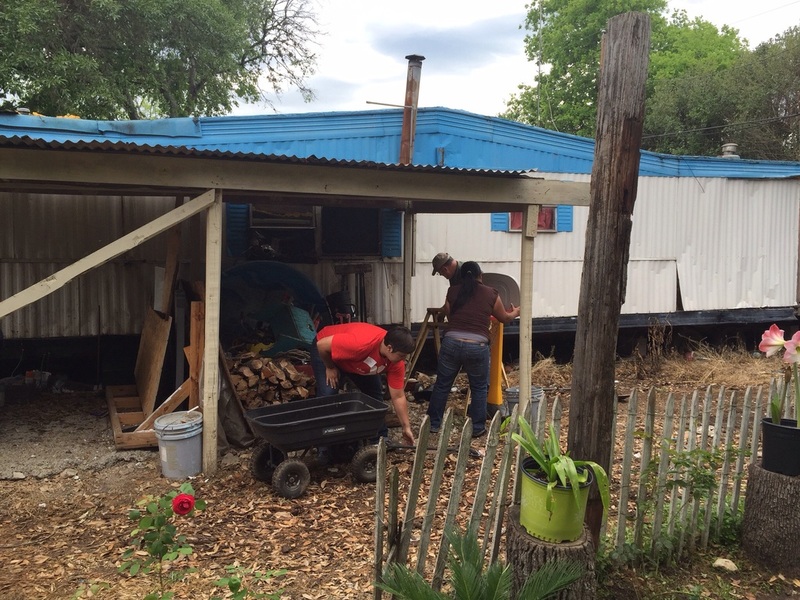 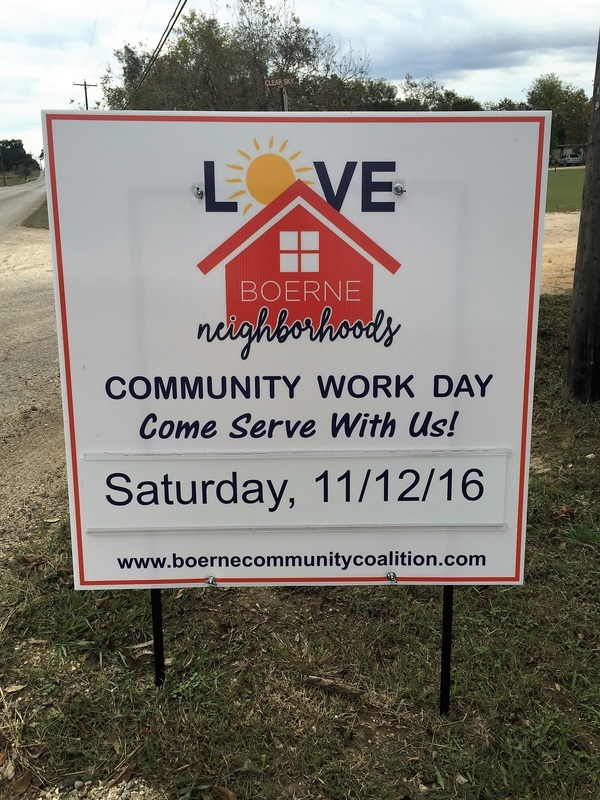 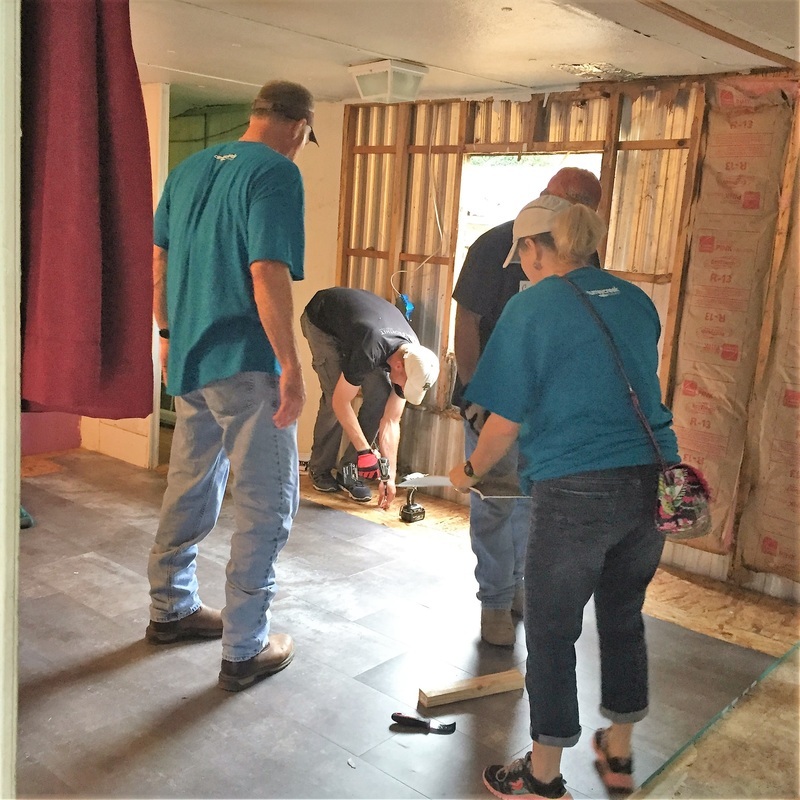 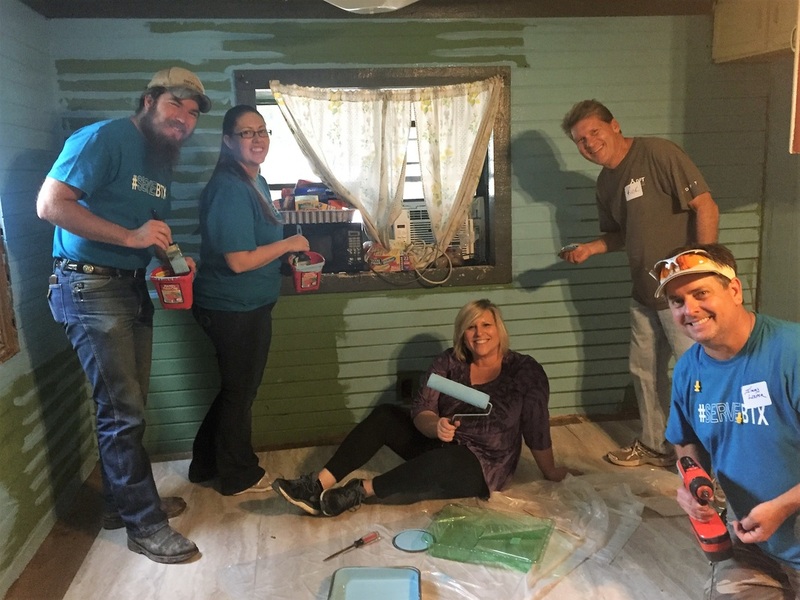 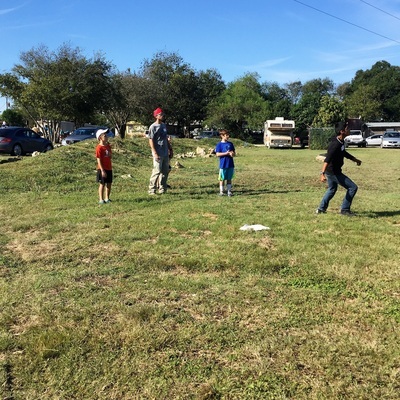 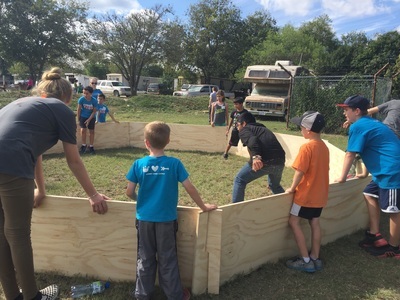 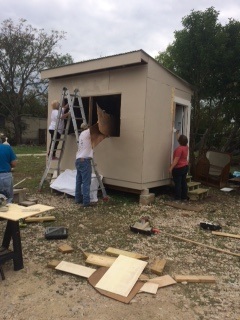 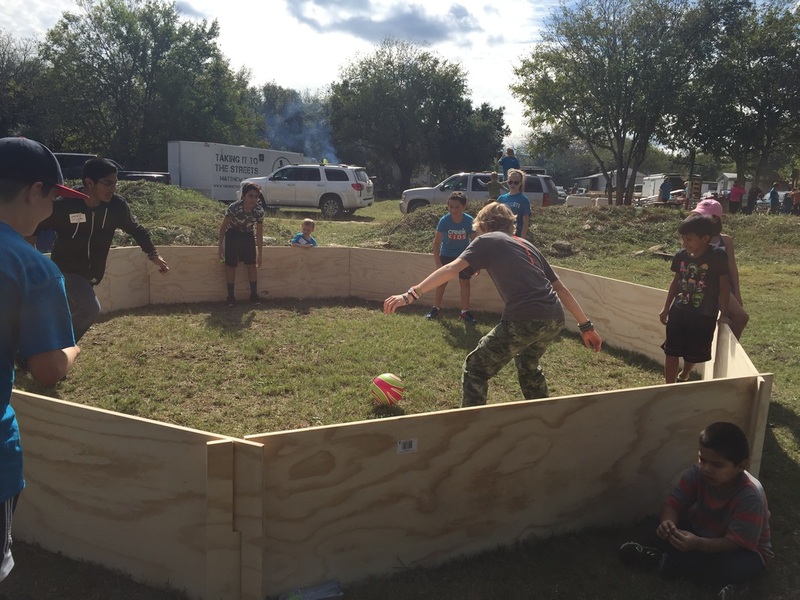 Our final LBN Community Work Day for the year, and we had approximately 147 volunteers from 10 local churches in Boerne! 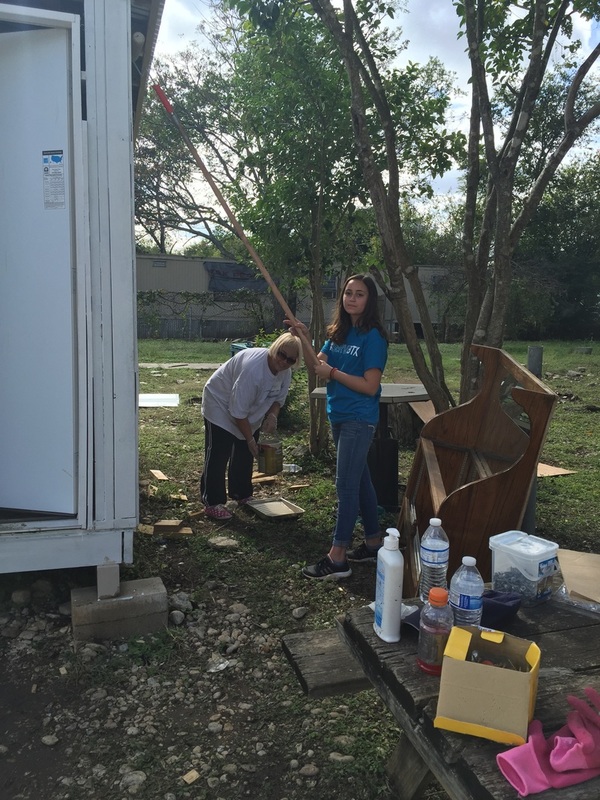 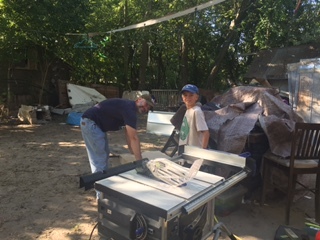 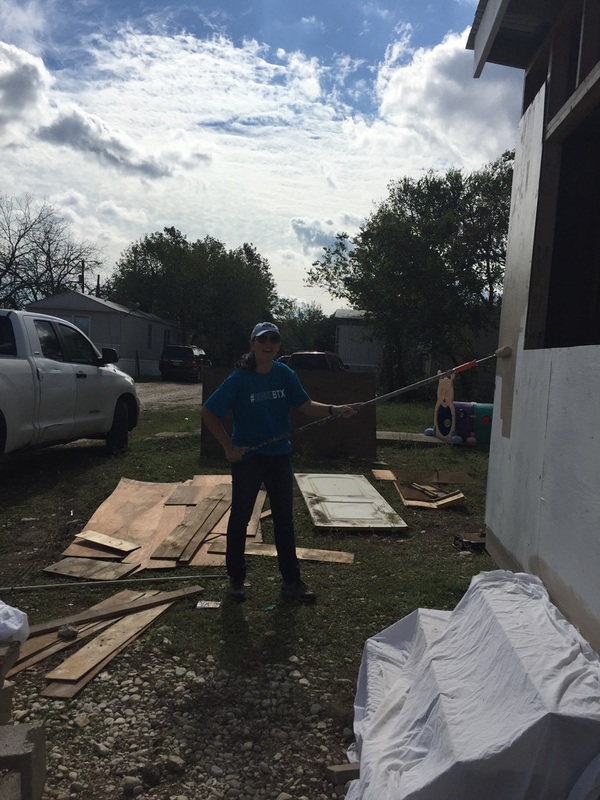 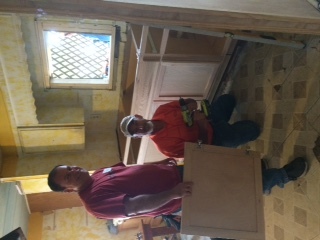 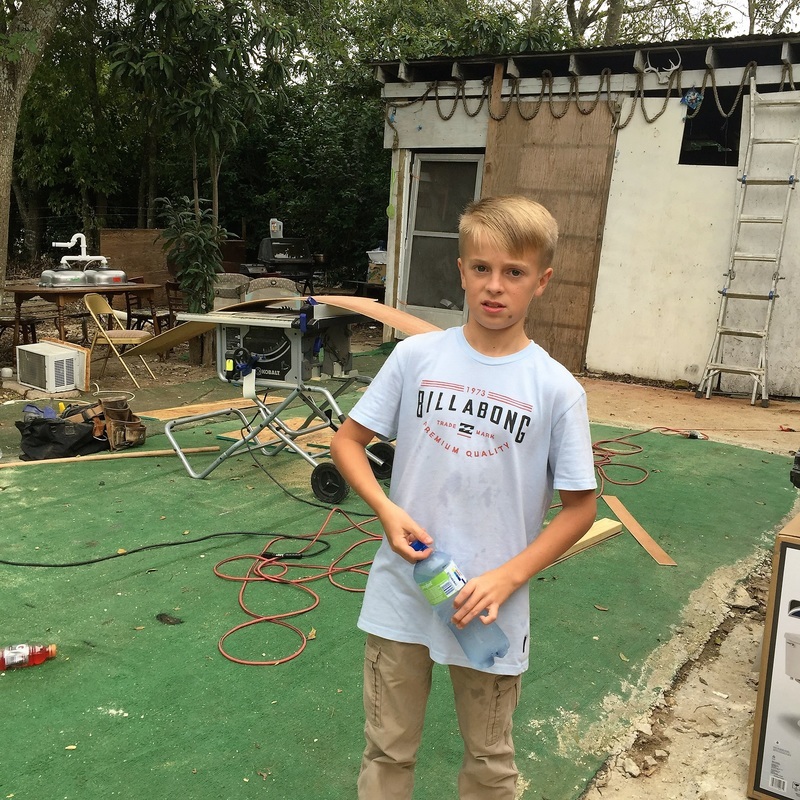 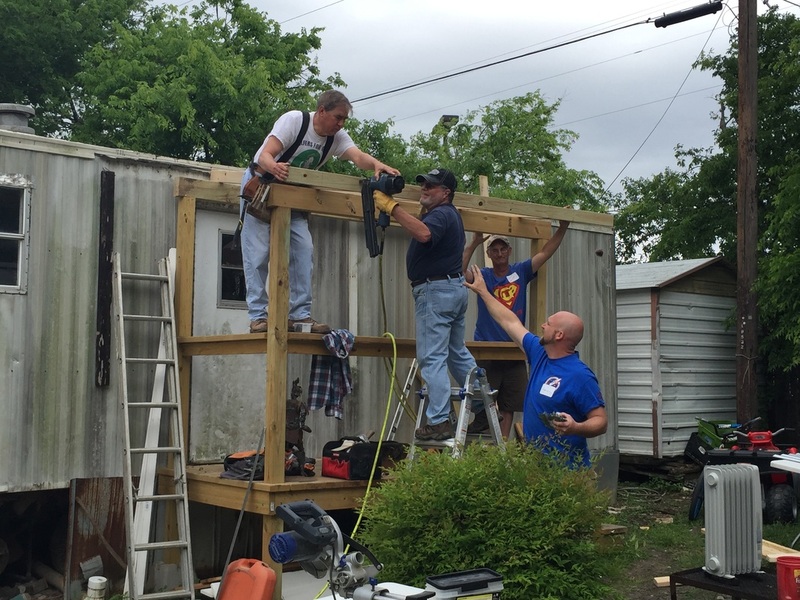 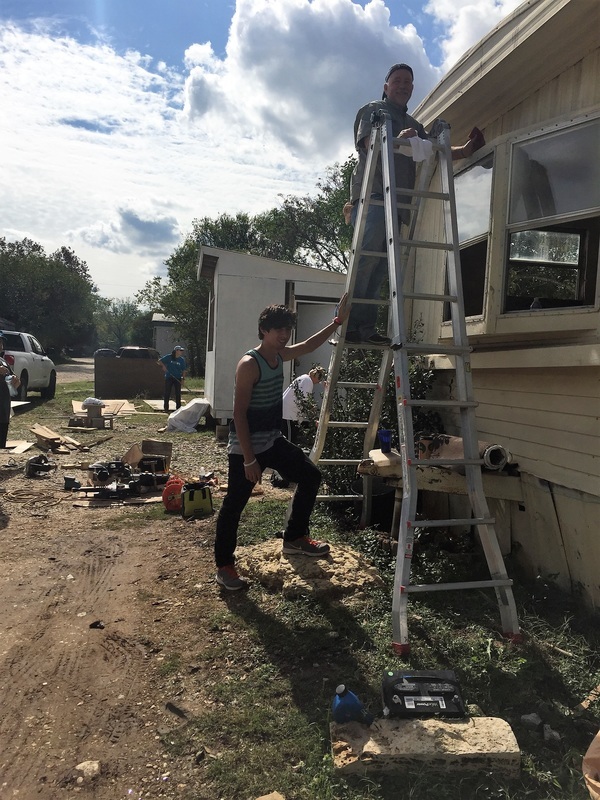 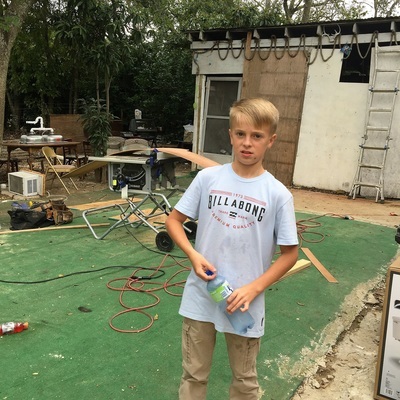 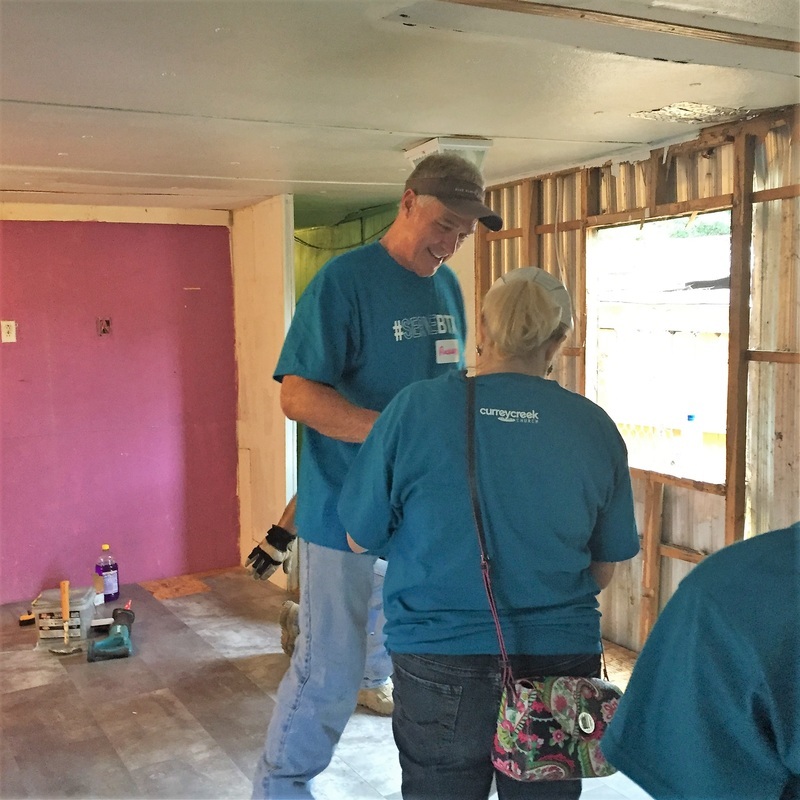 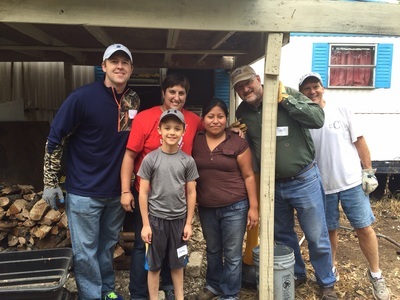 Together we worked with five families in Shady Rest, doing work on their homes. 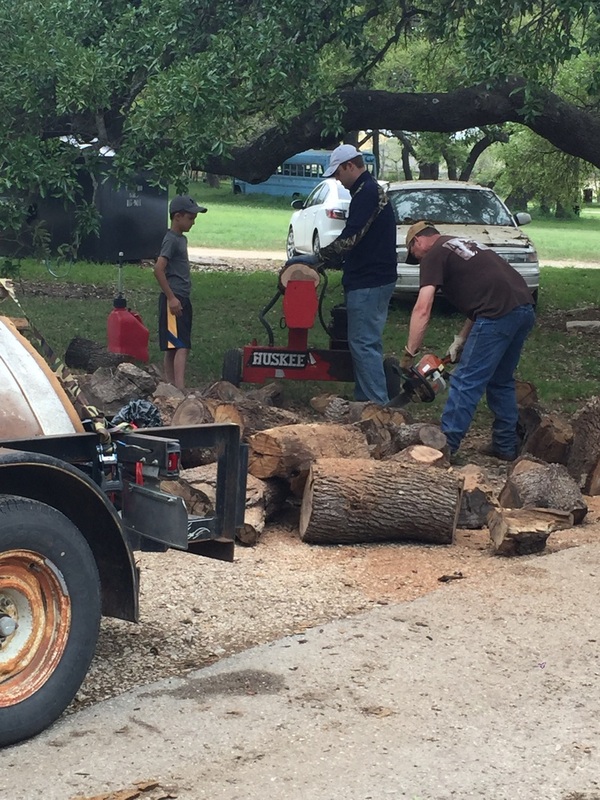 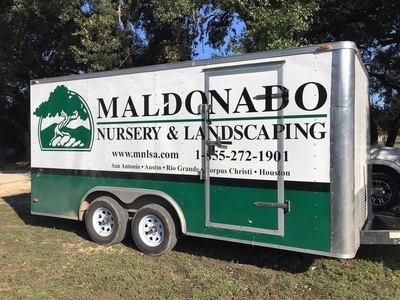 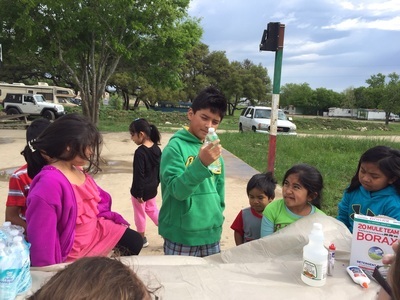 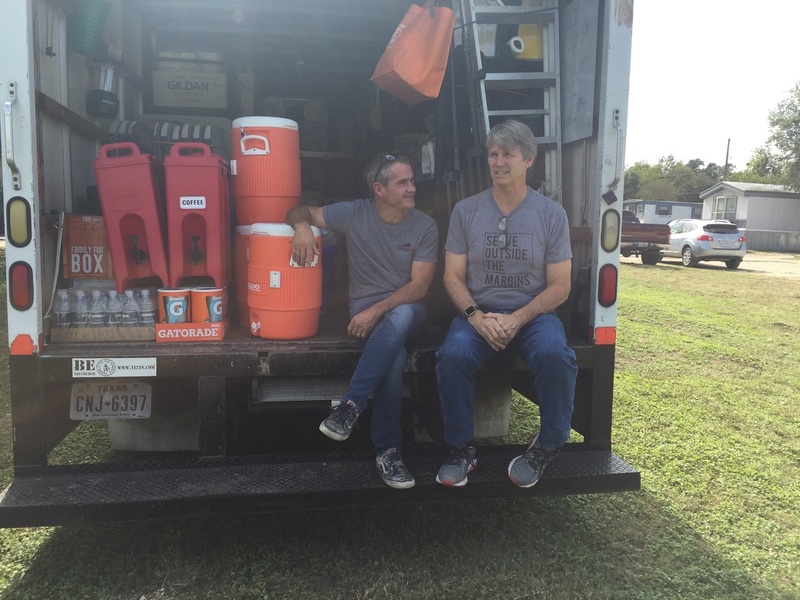 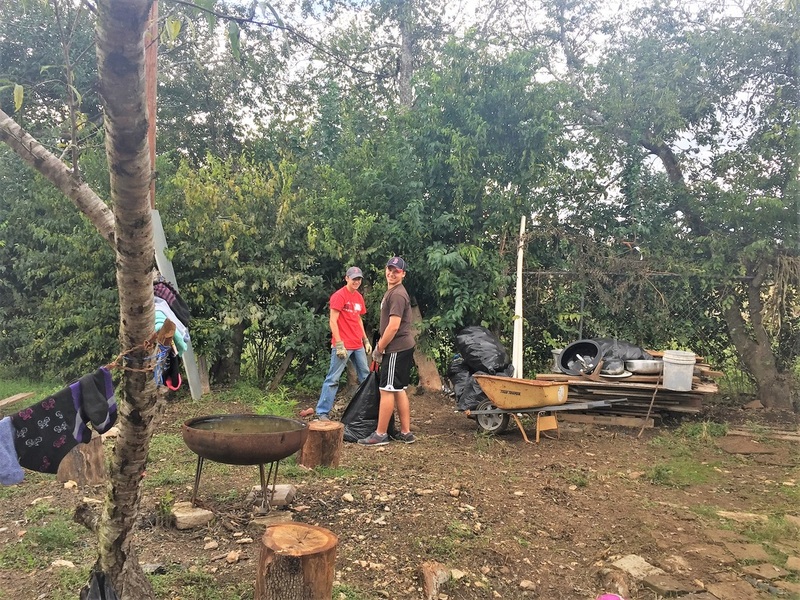 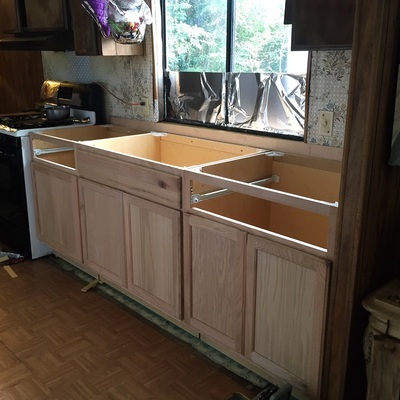 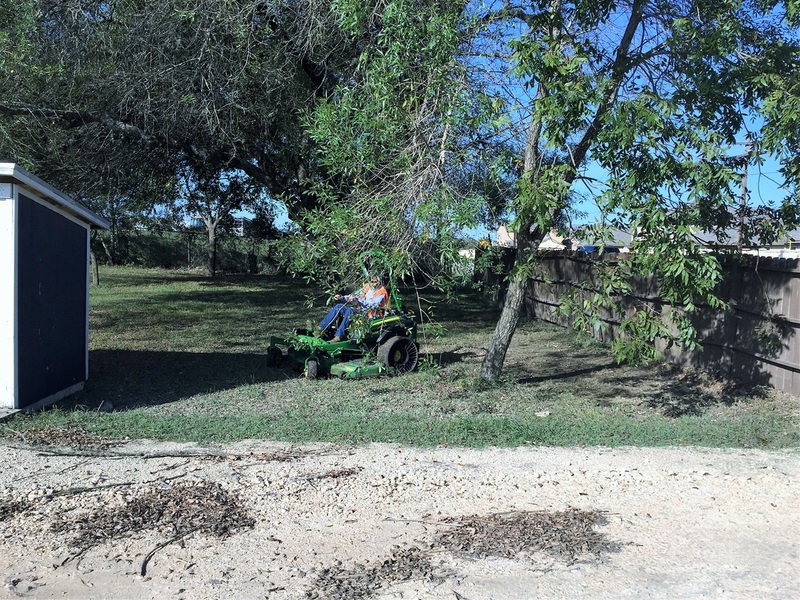 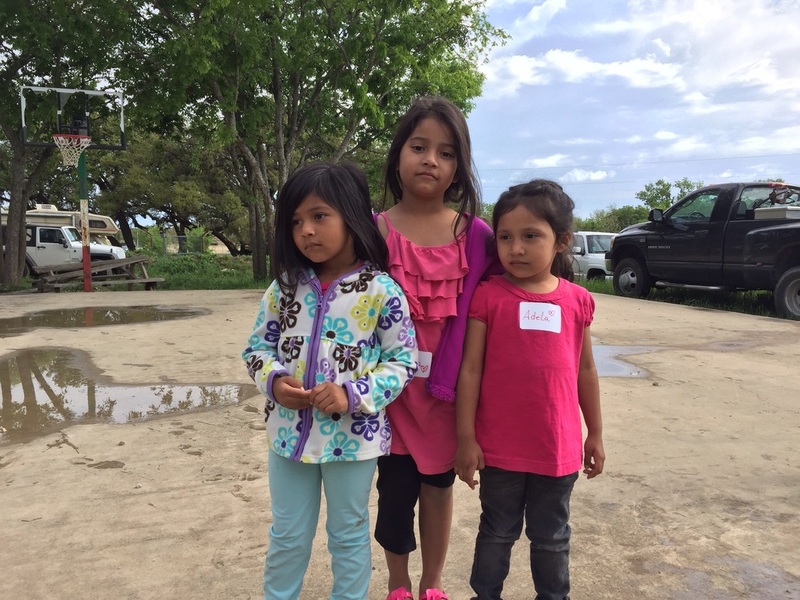 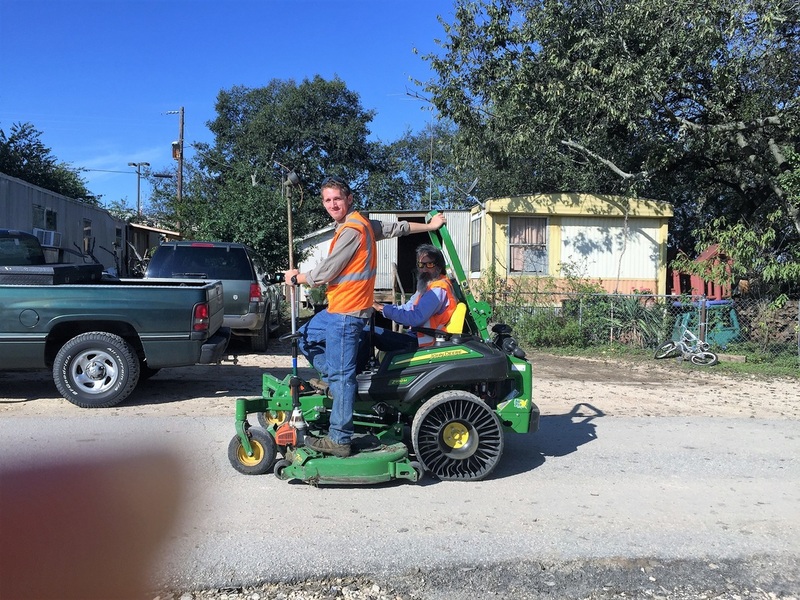 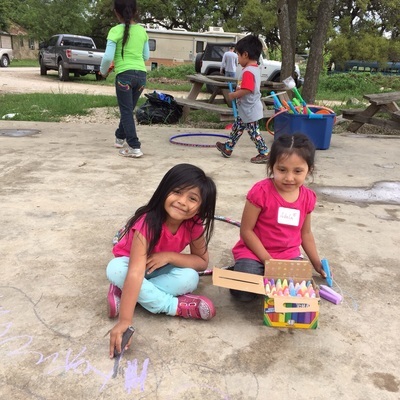 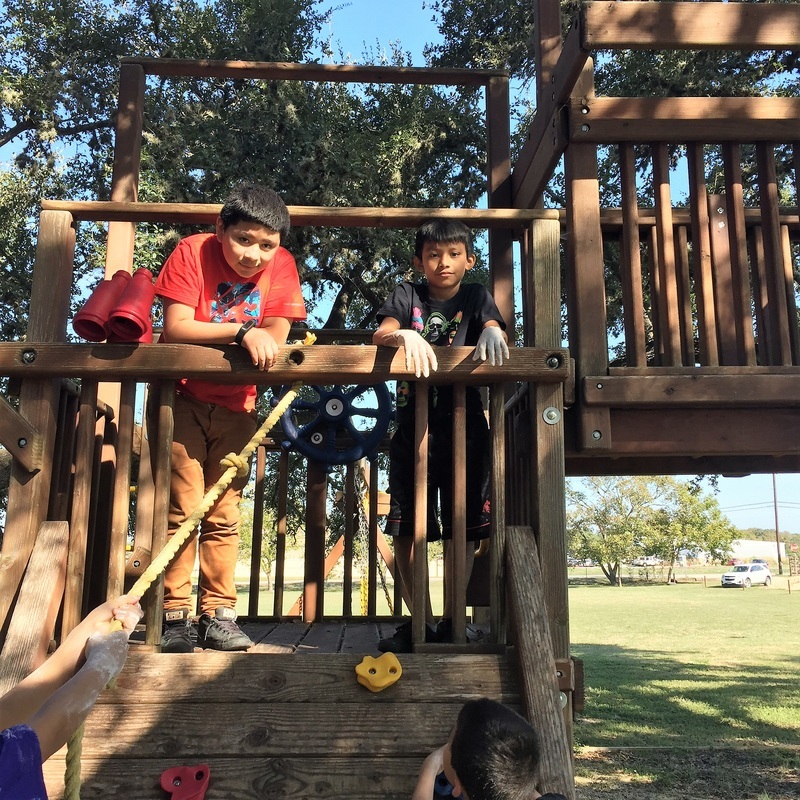 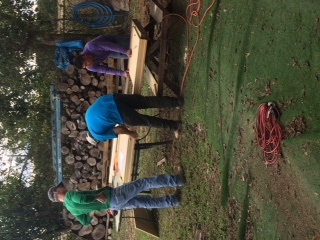 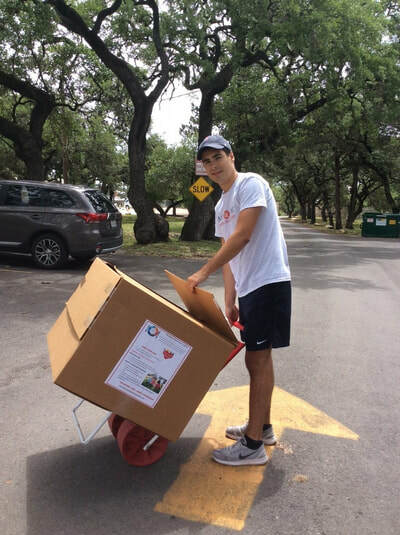 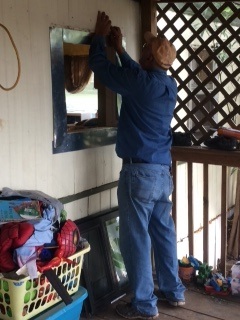 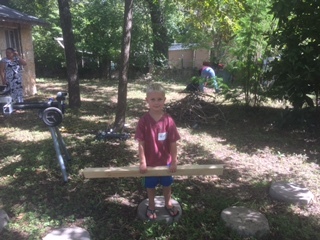 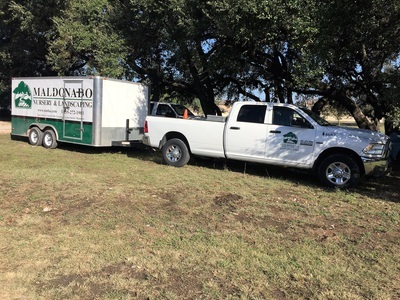 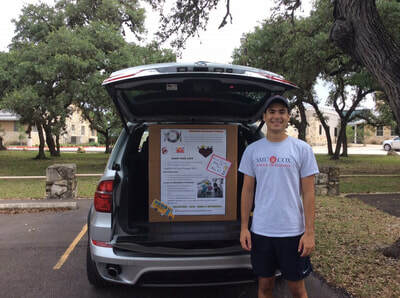 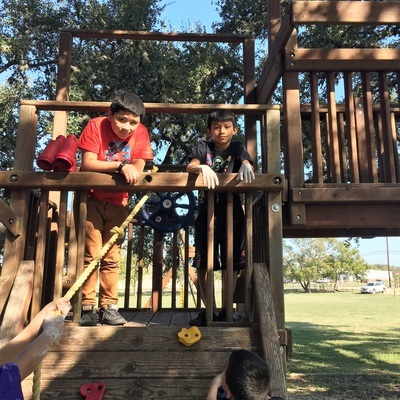 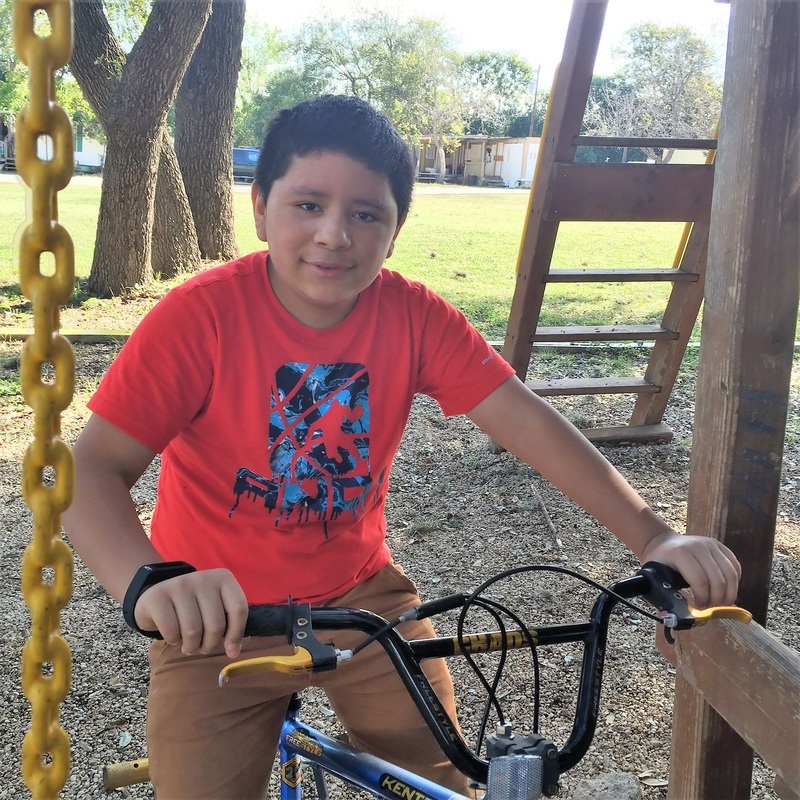 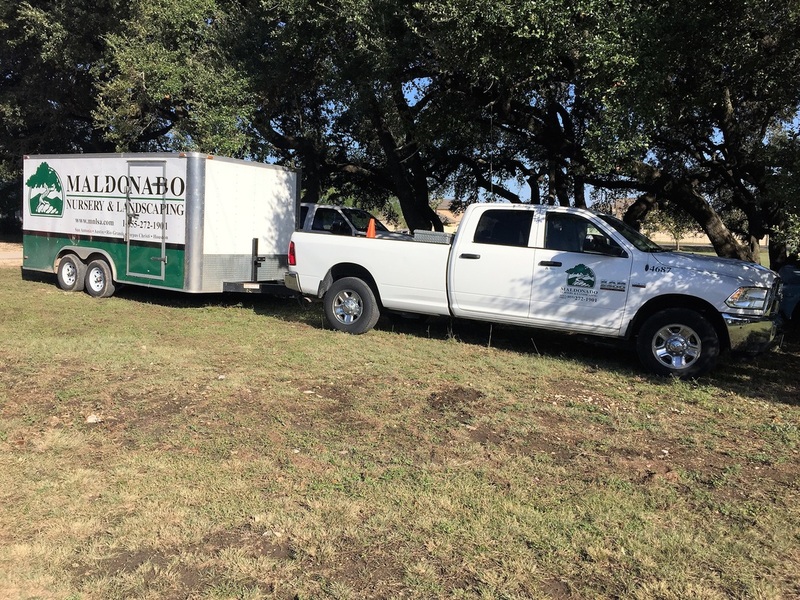 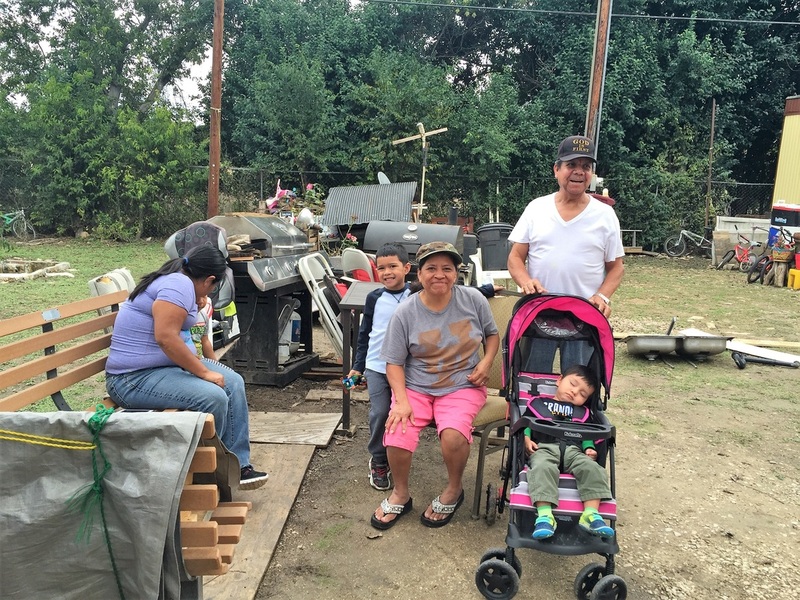 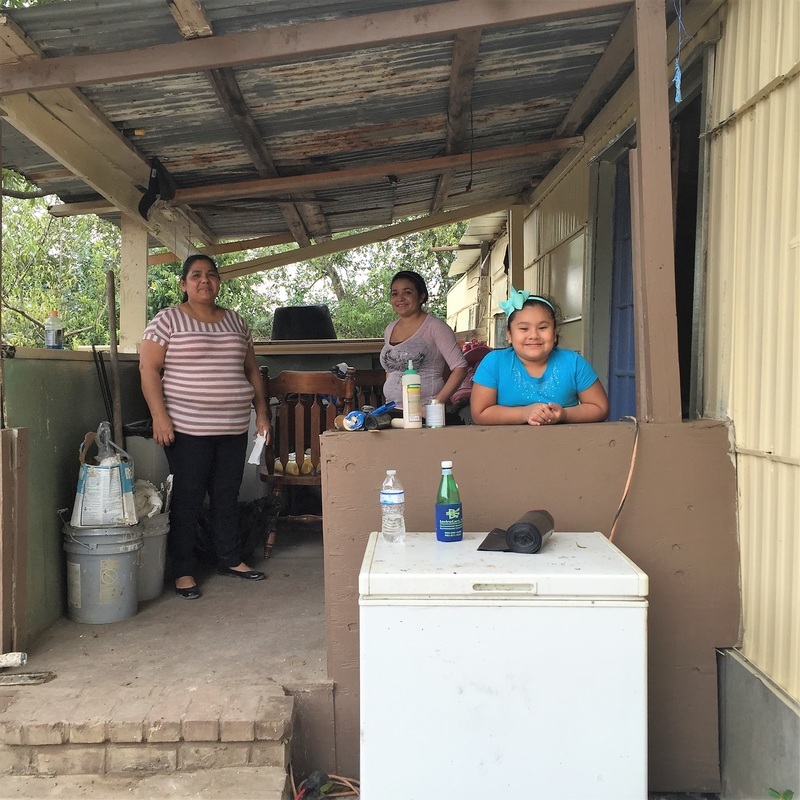 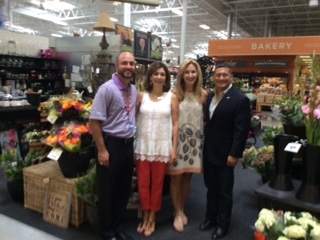 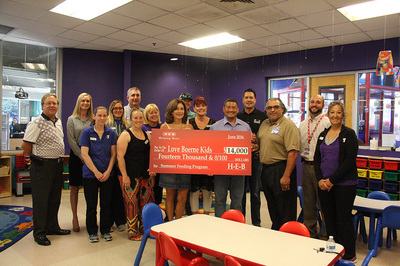 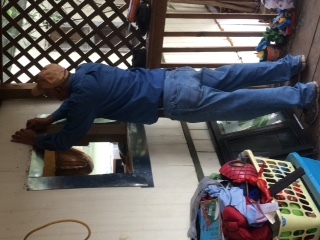 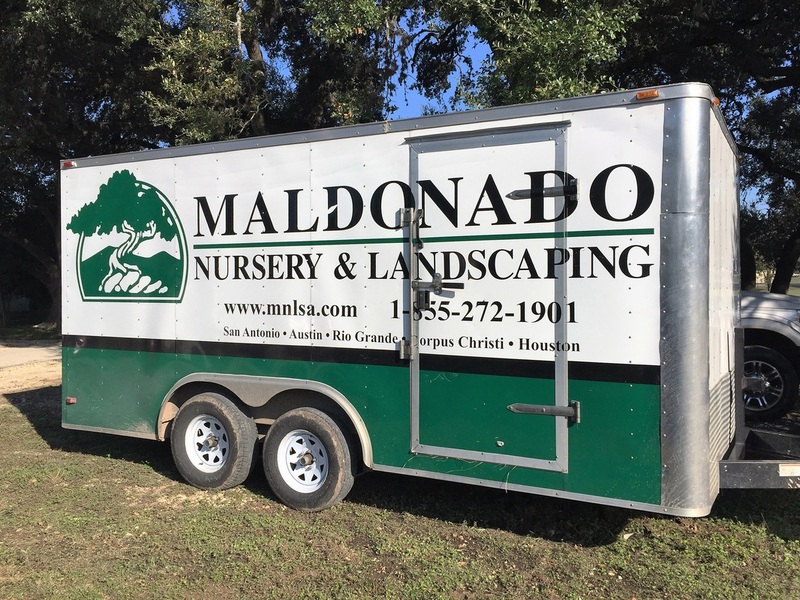 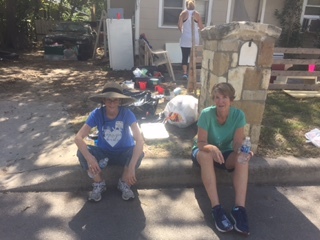 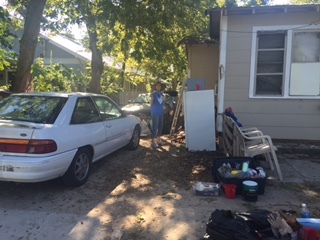 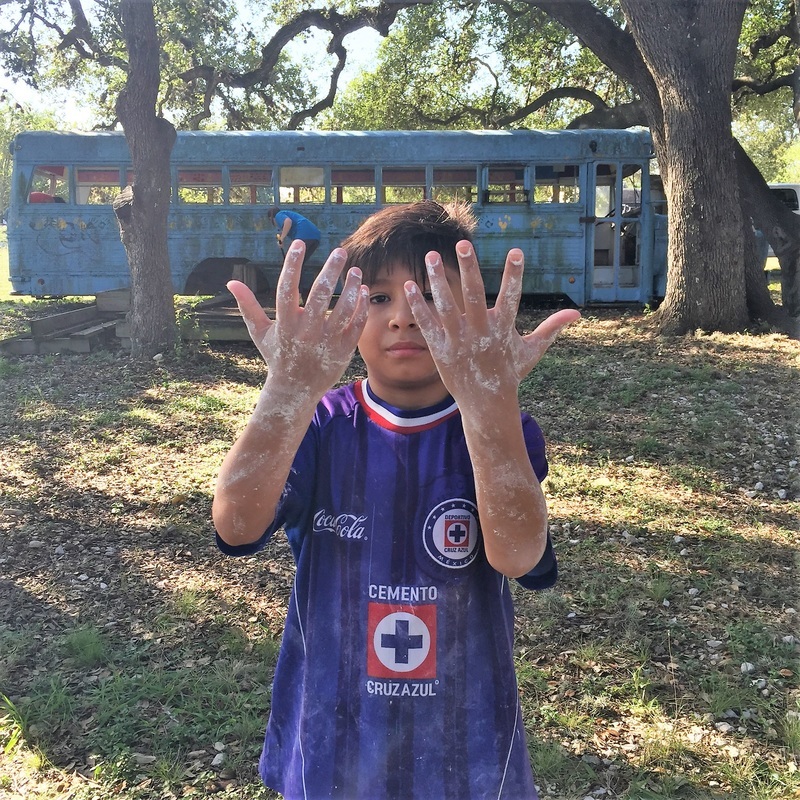 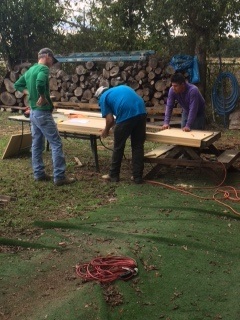 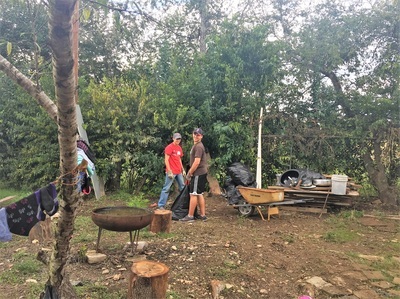 As a result of the generous donations from Currey Creek Church, the Omega Retreat Center, Maldonado Nursery & Landscaping San Antonio, Hodges Plumbing and our committed and compassionate volunteers - we completed all work and established relationships with the families we served. 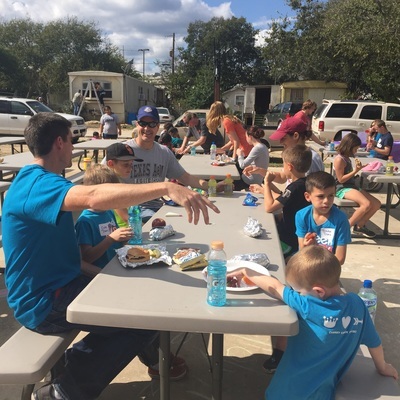 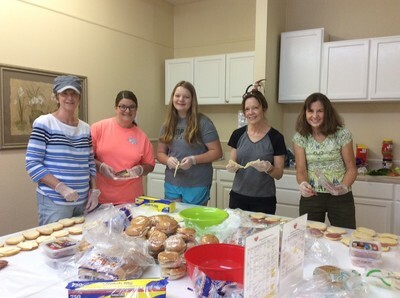 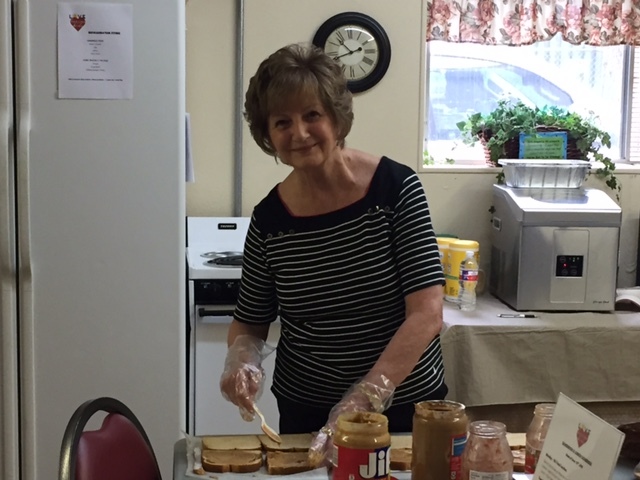 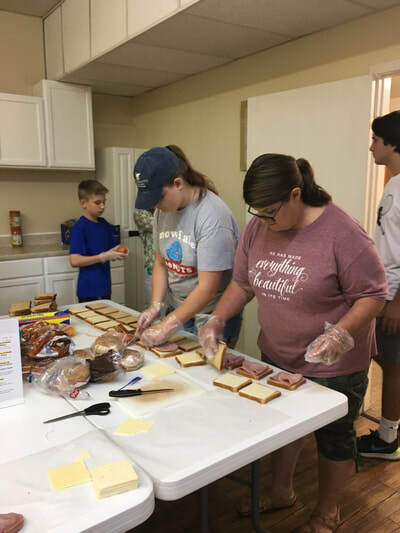 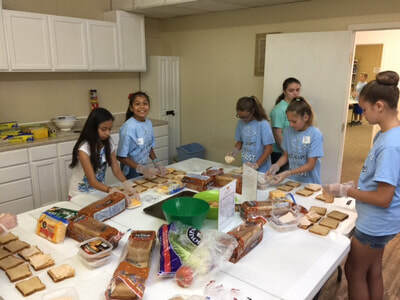 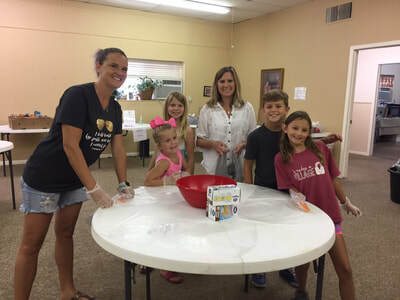 We enjoyed a shared lunch for 200 with volunteers and families within the community, and while many of the adult volunteers were working on home repairs, others were engaging children in games and activities! 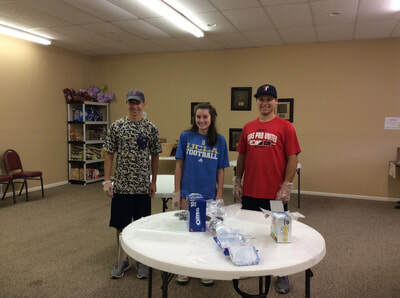 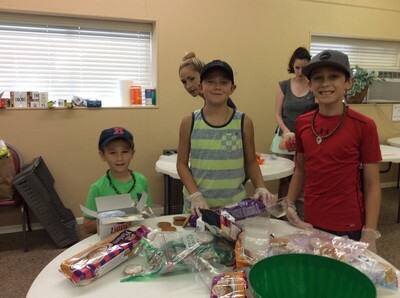 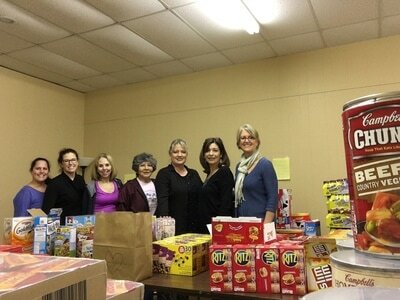 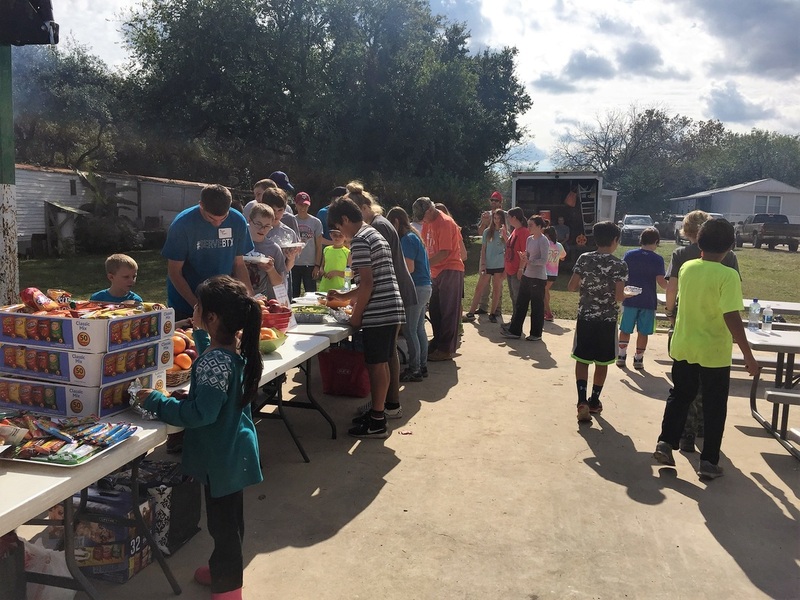 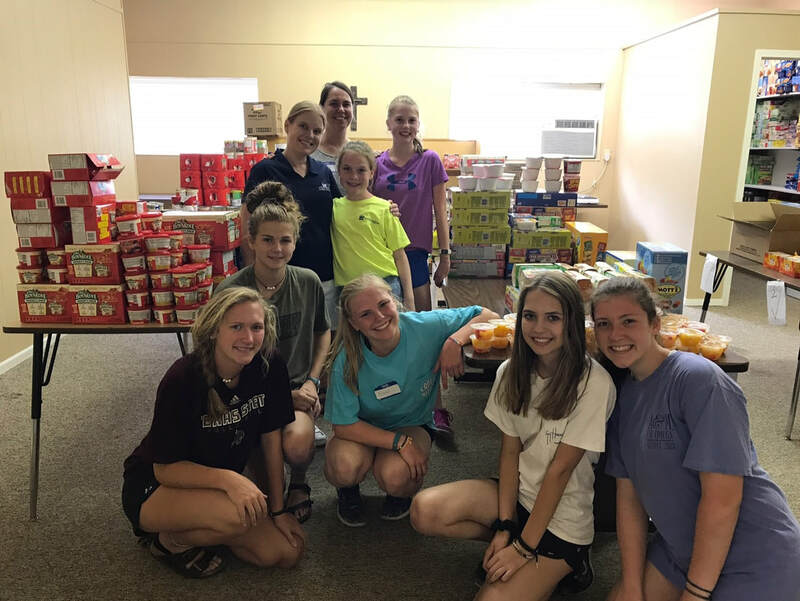 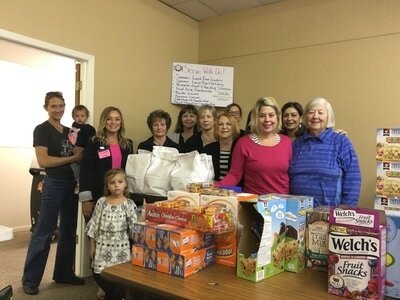 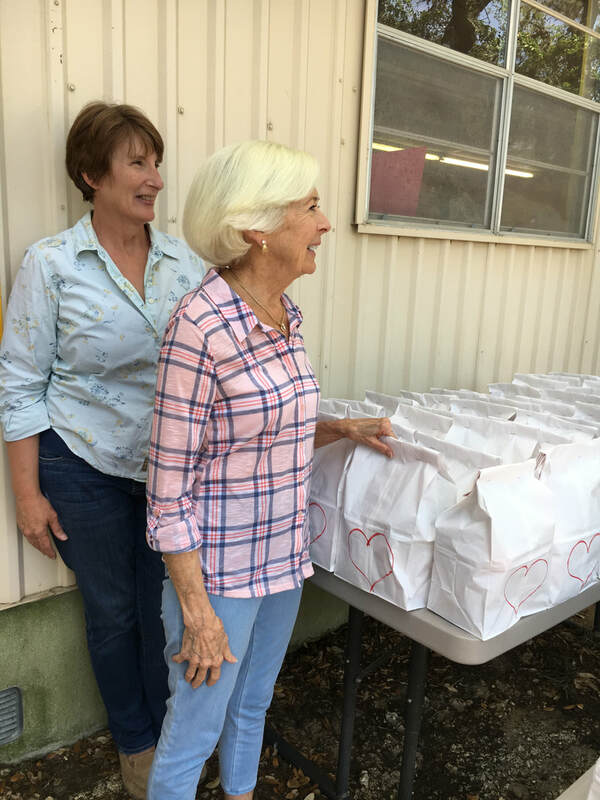 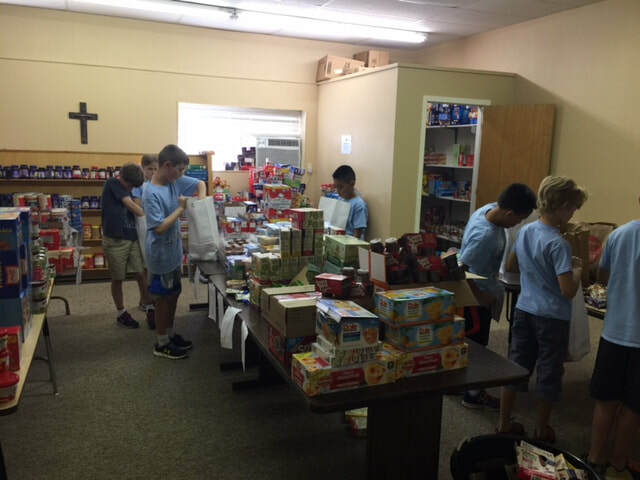 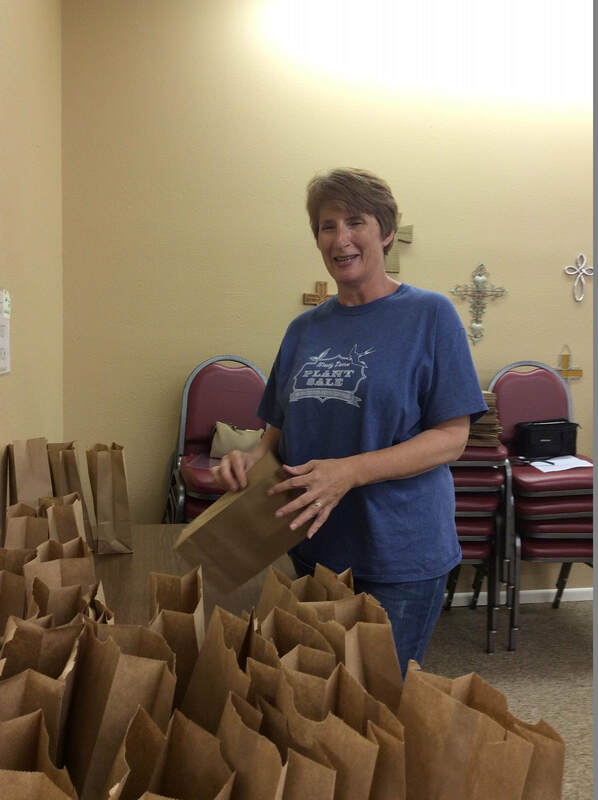 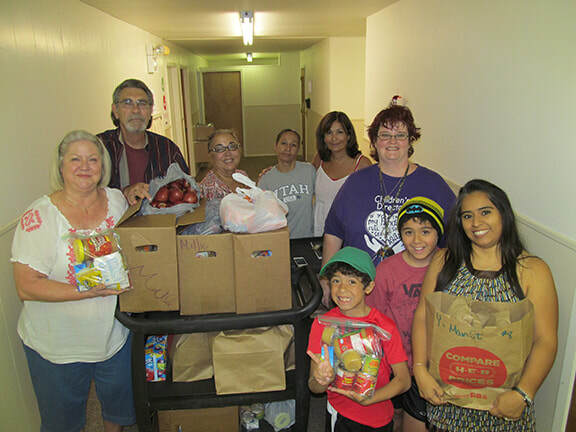 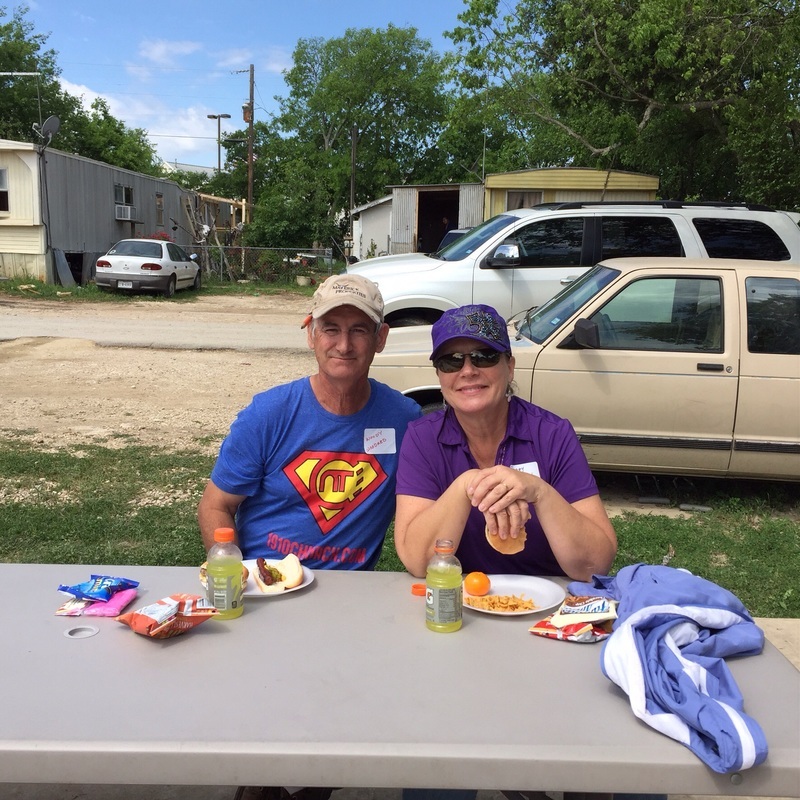 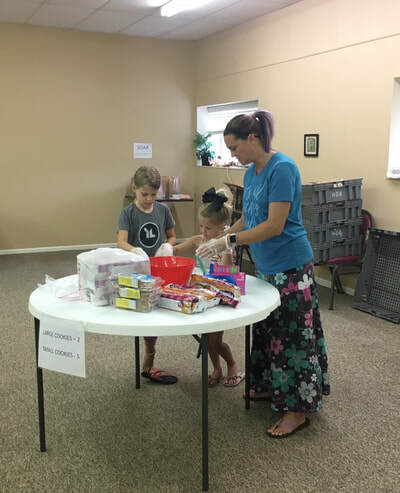 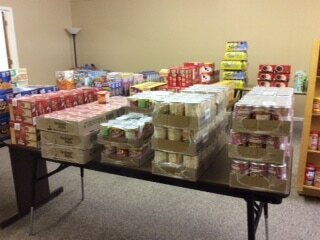 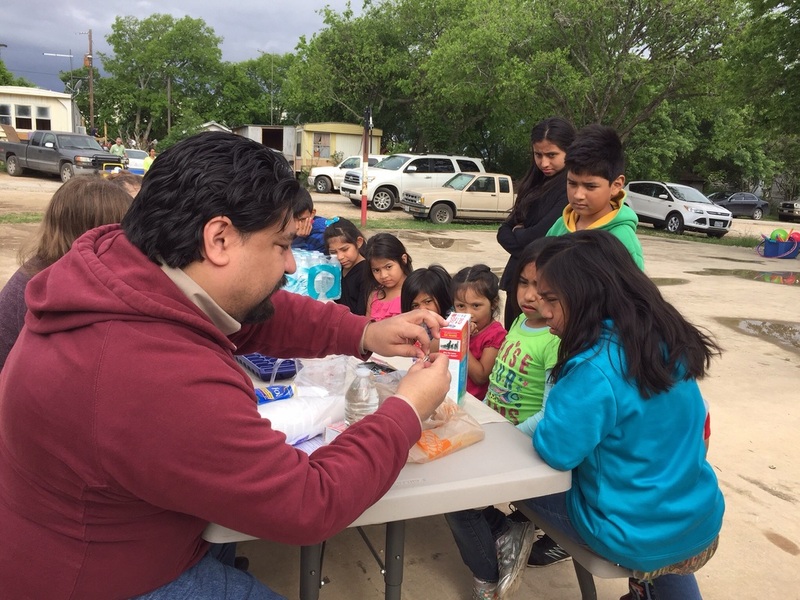 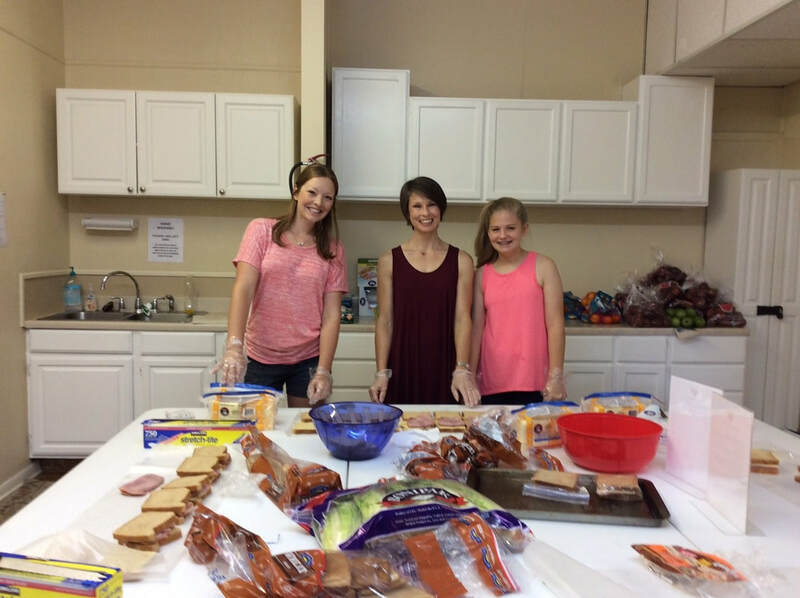 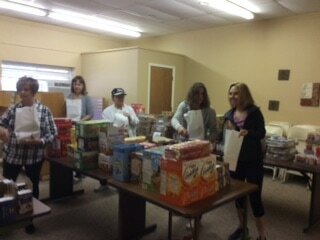 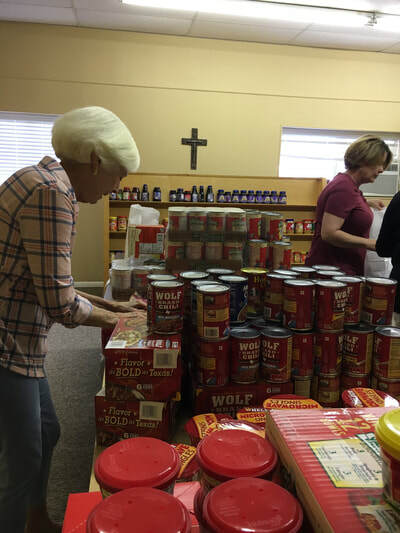 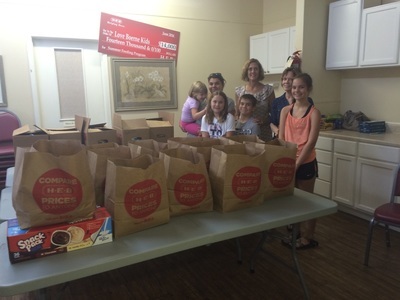 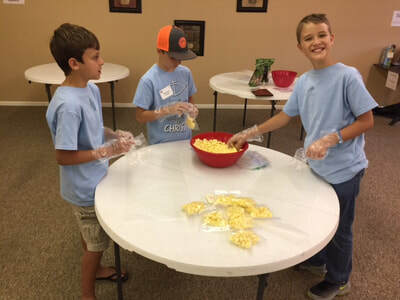 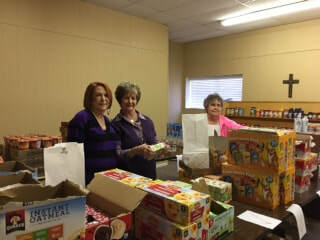 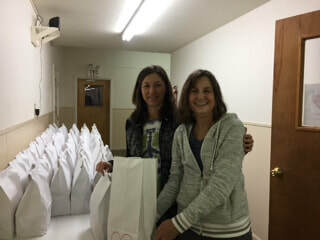 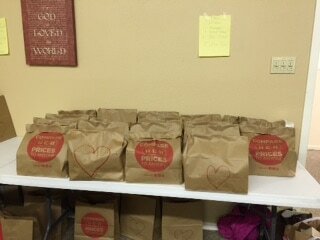 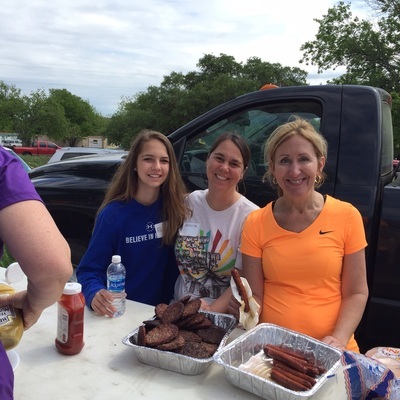 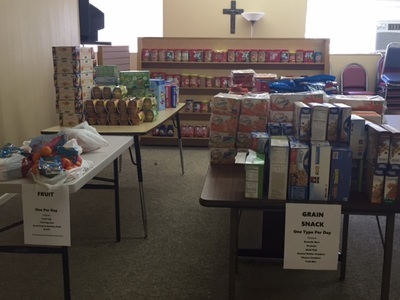 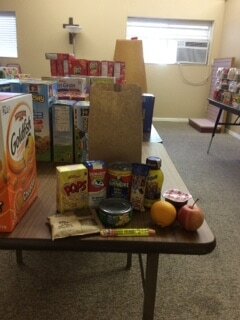 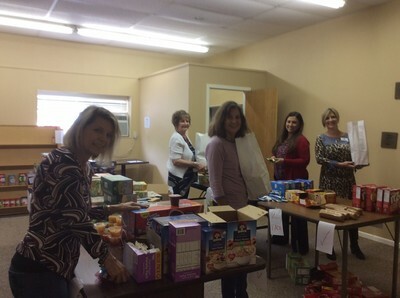 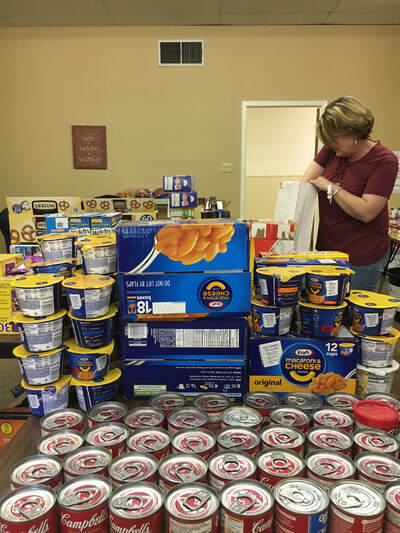 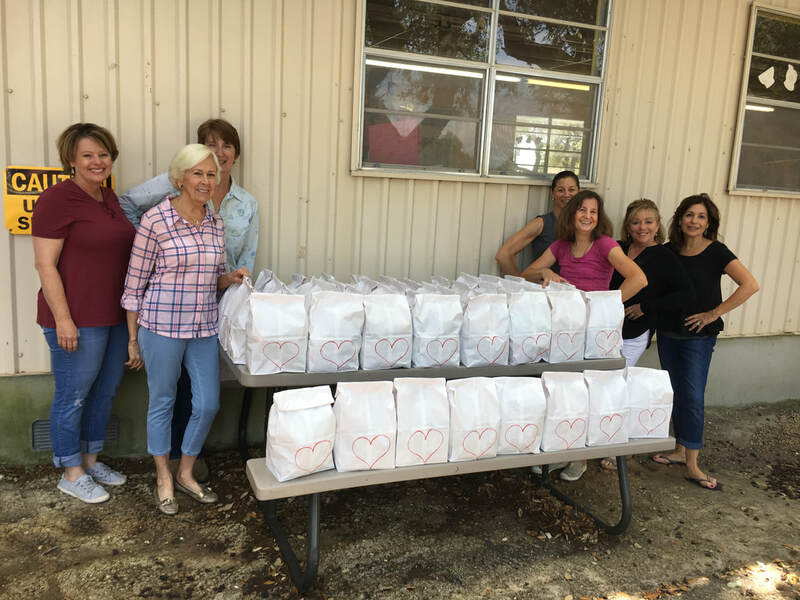 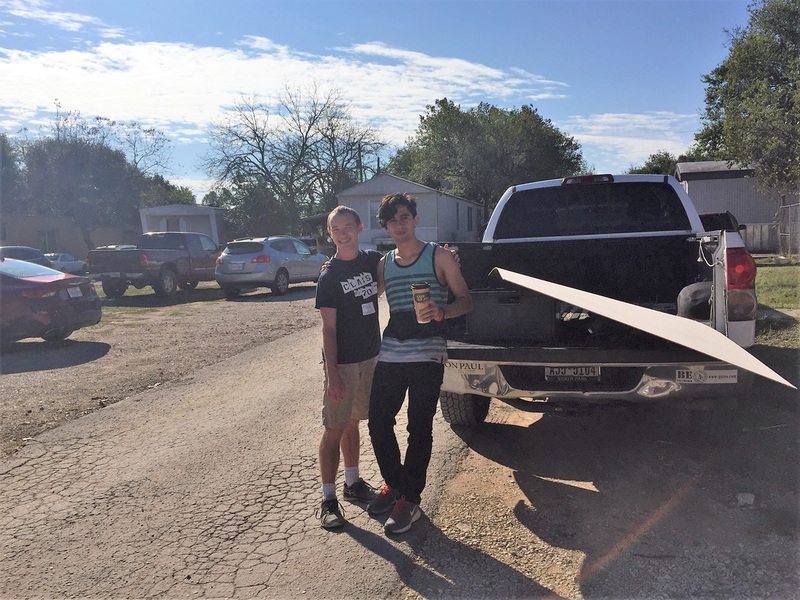 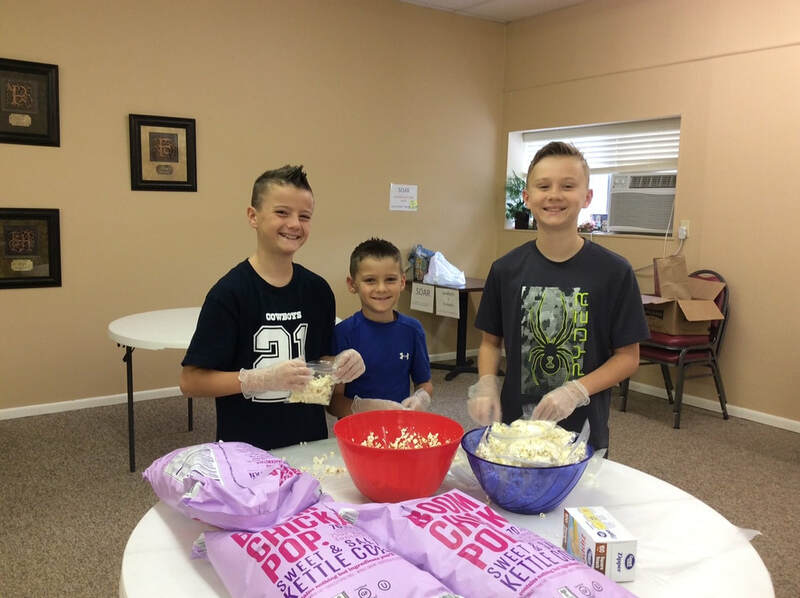 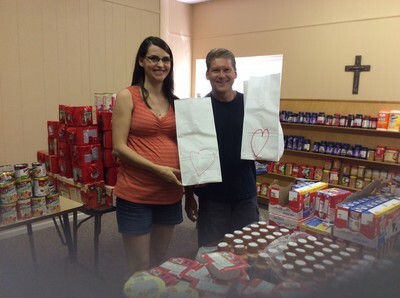 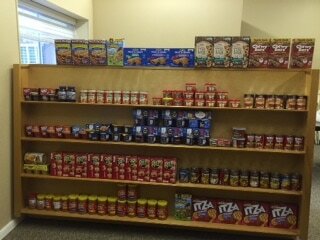 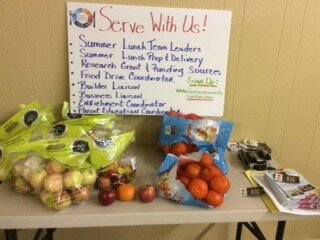 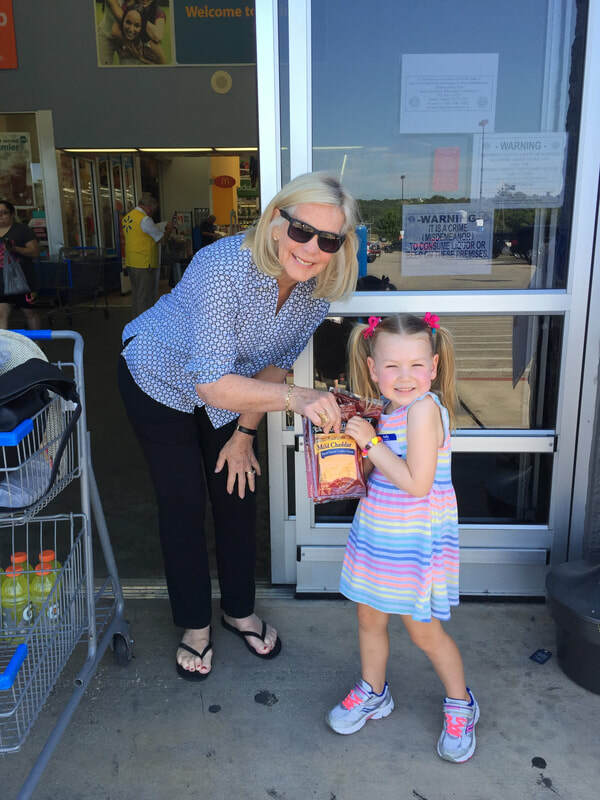 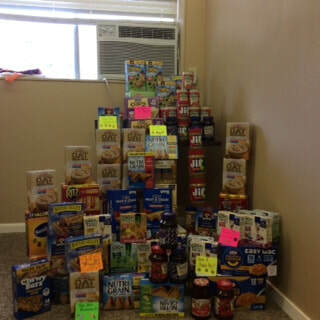 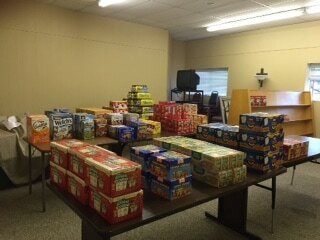 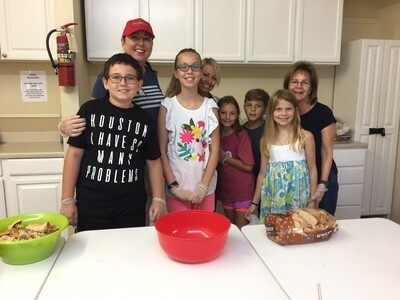 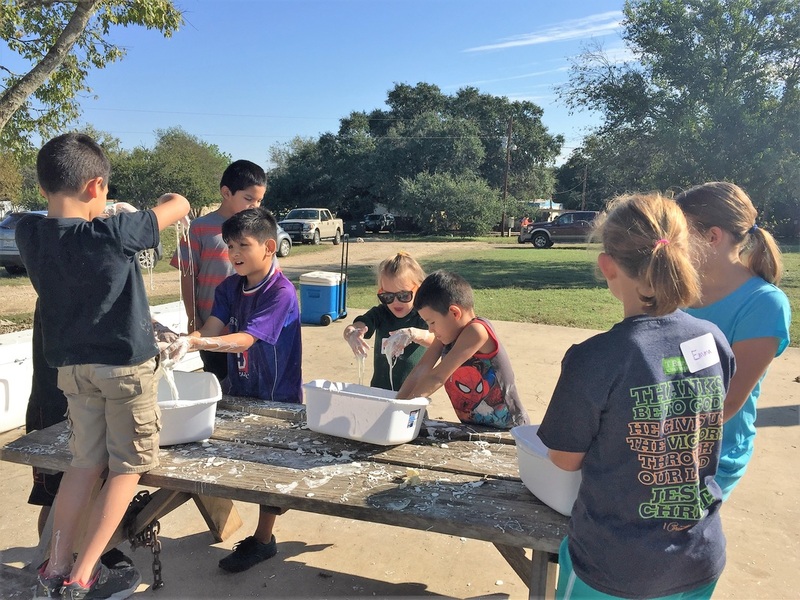 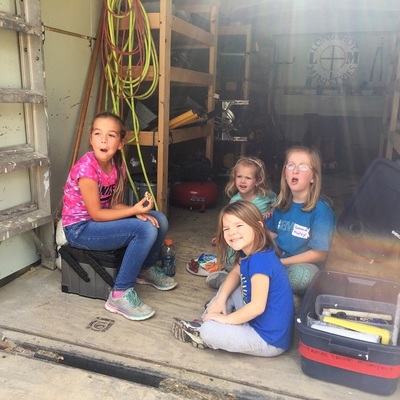 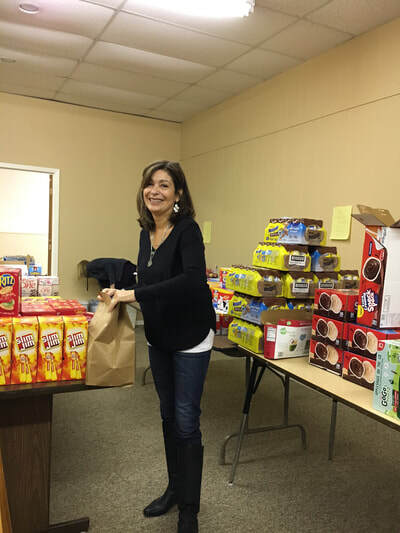 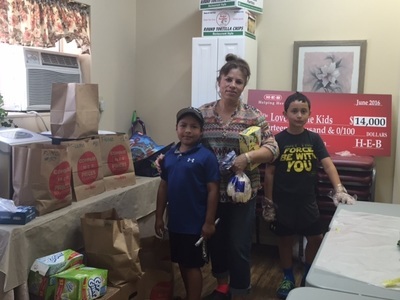 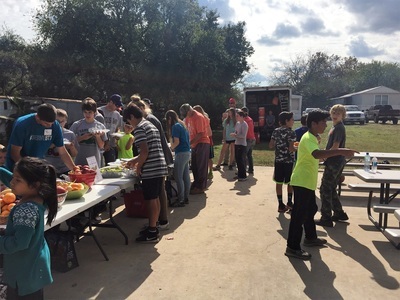 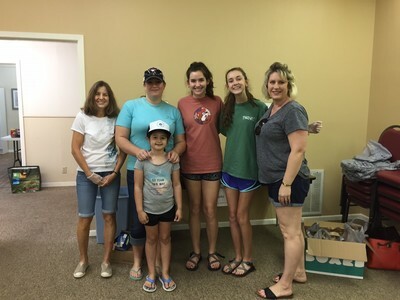 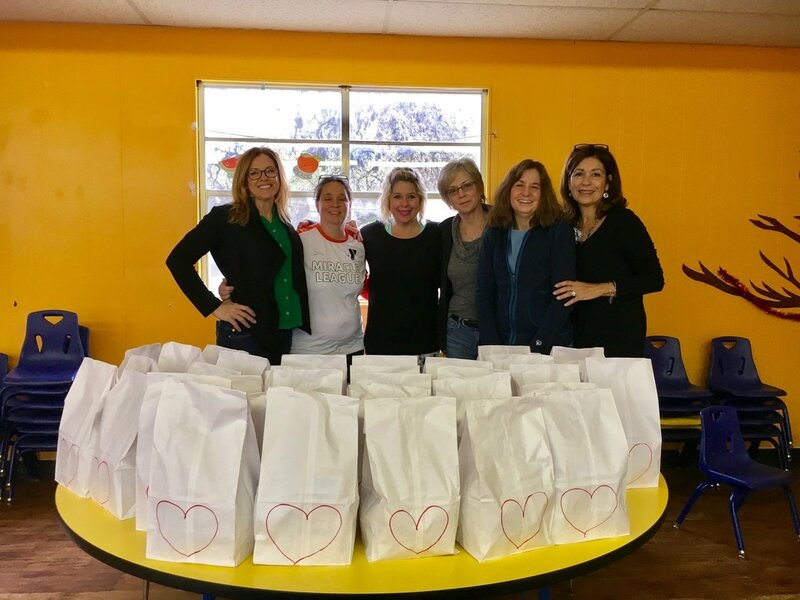 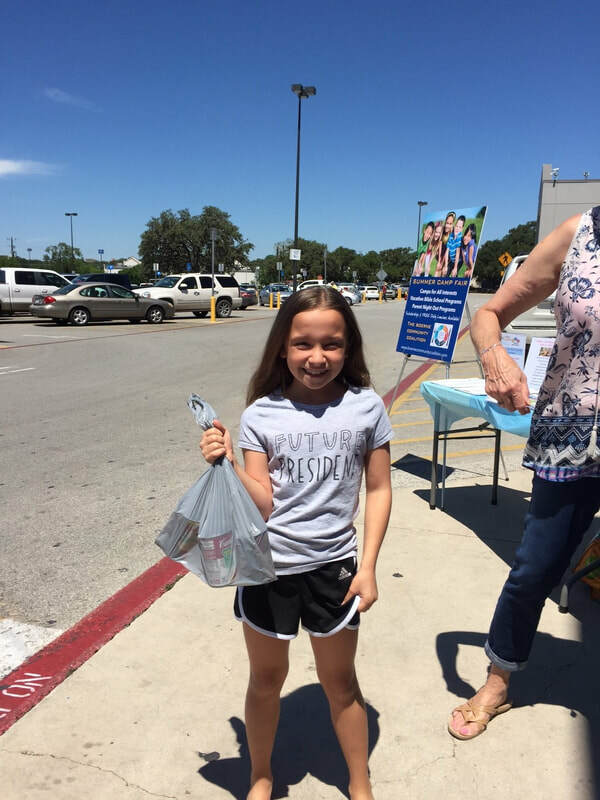 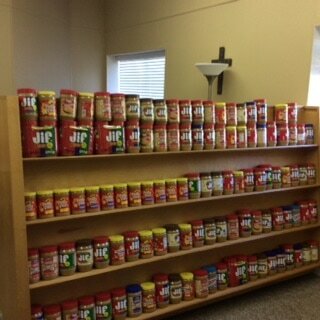 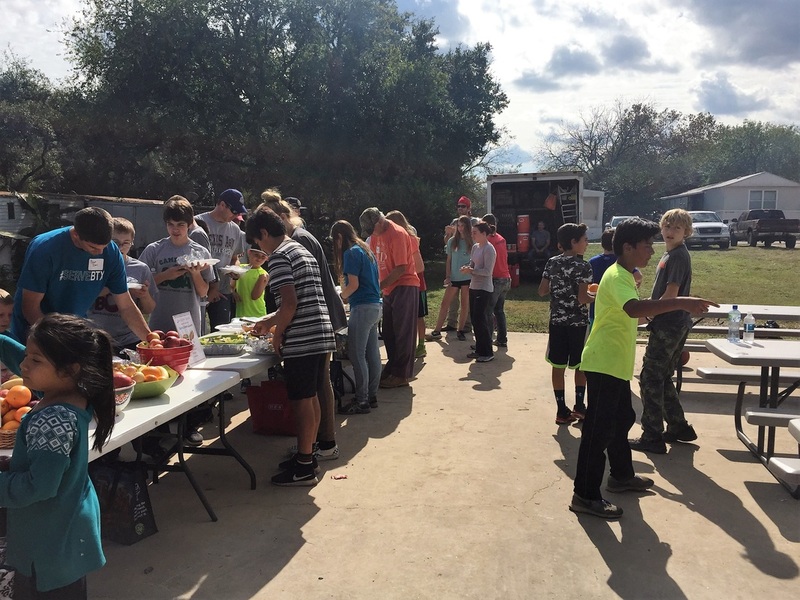 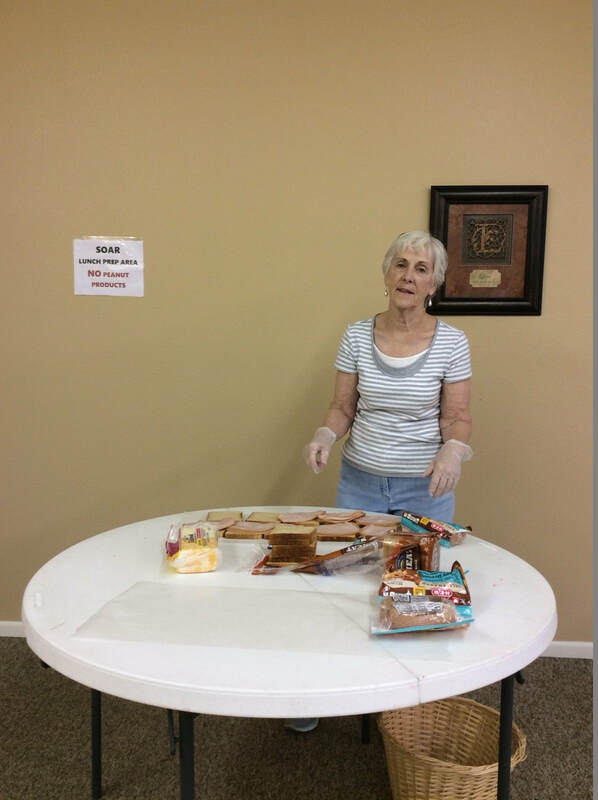 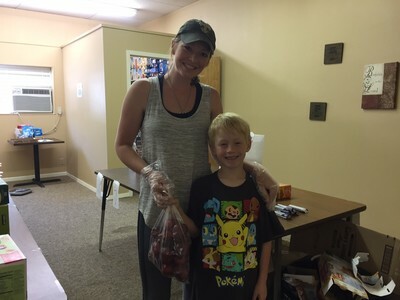 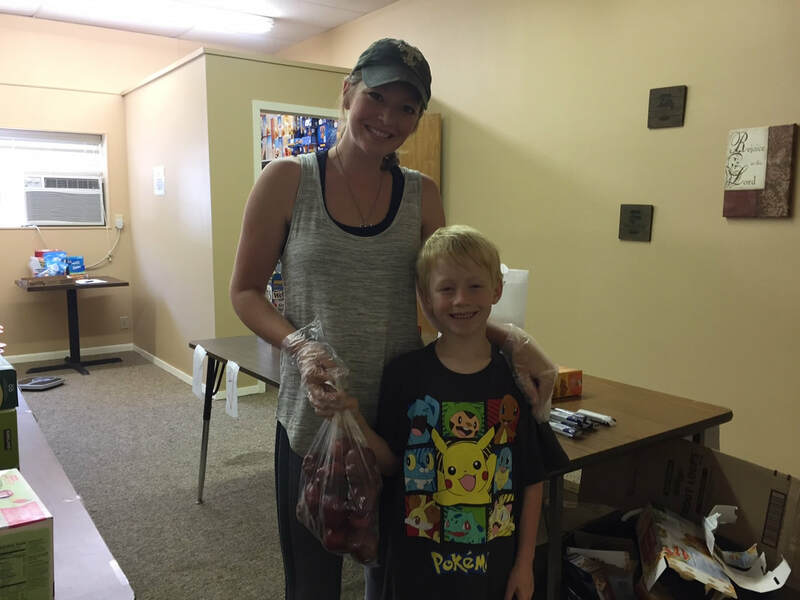 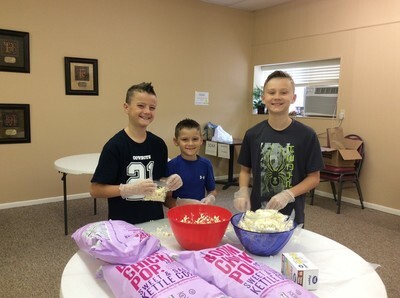 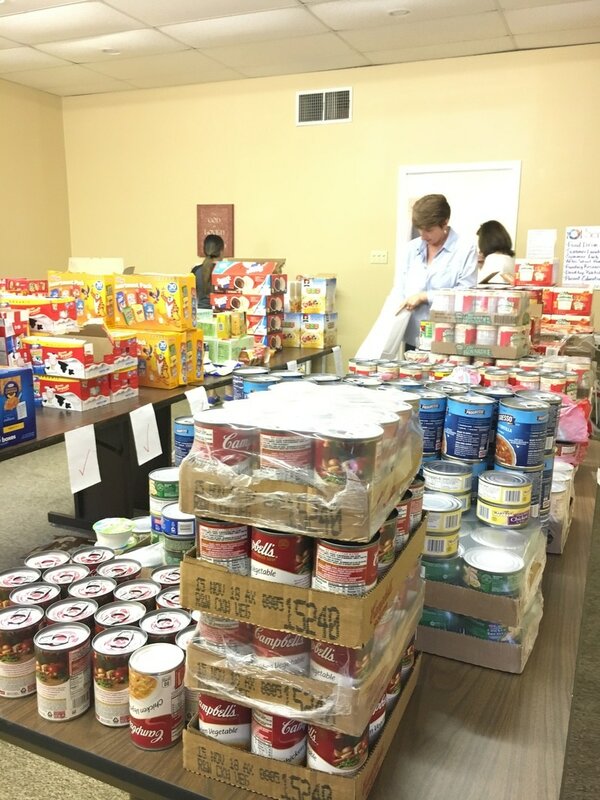 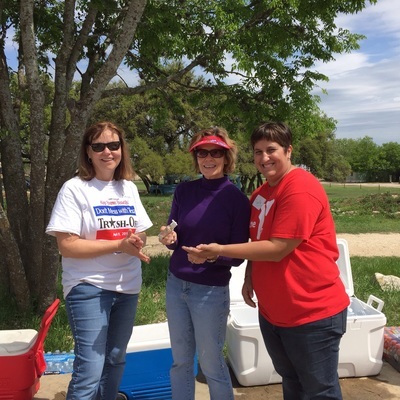 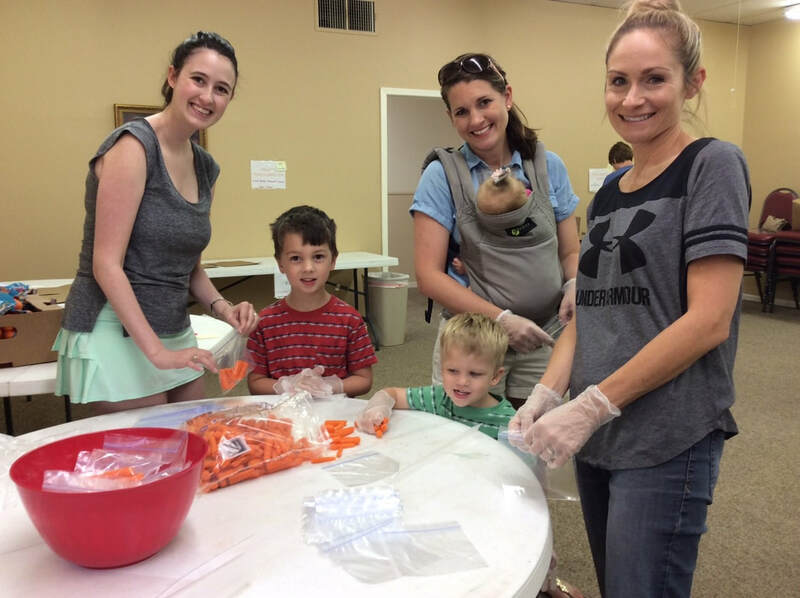 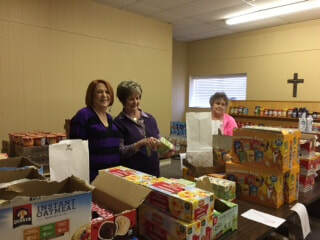 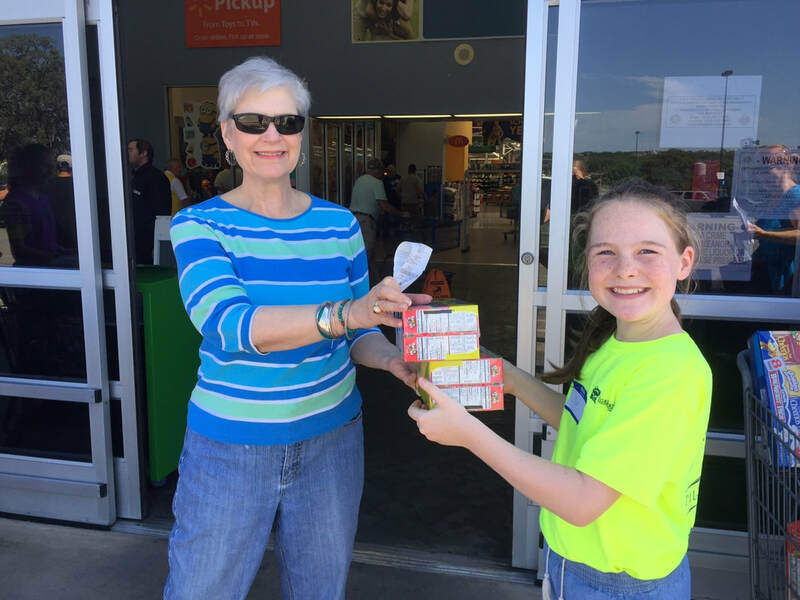 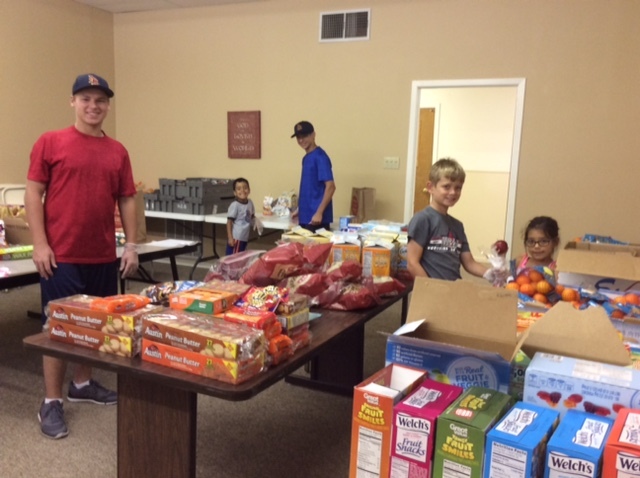 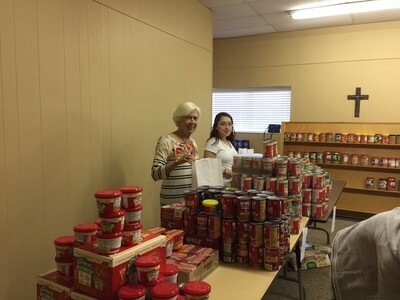 Cibolo Creek Community Church donated much of the snacks for the day and recruited members from their church to volunteer. 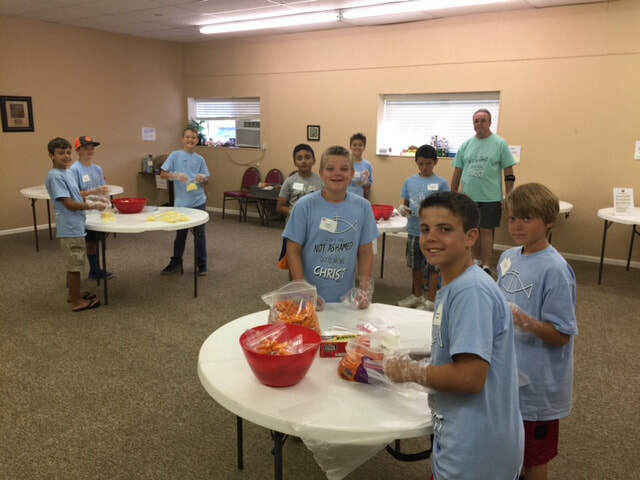 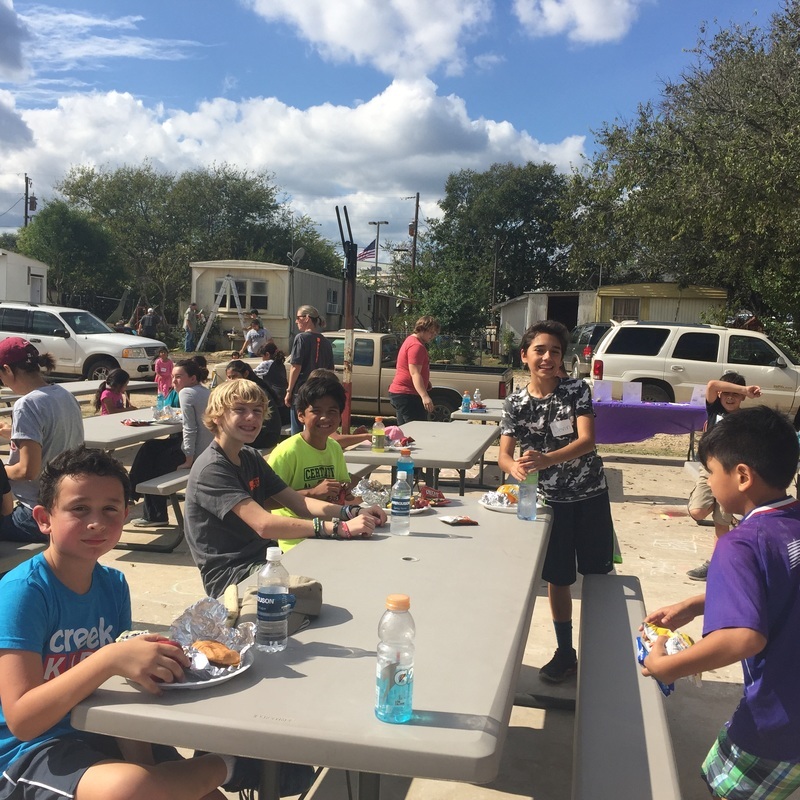 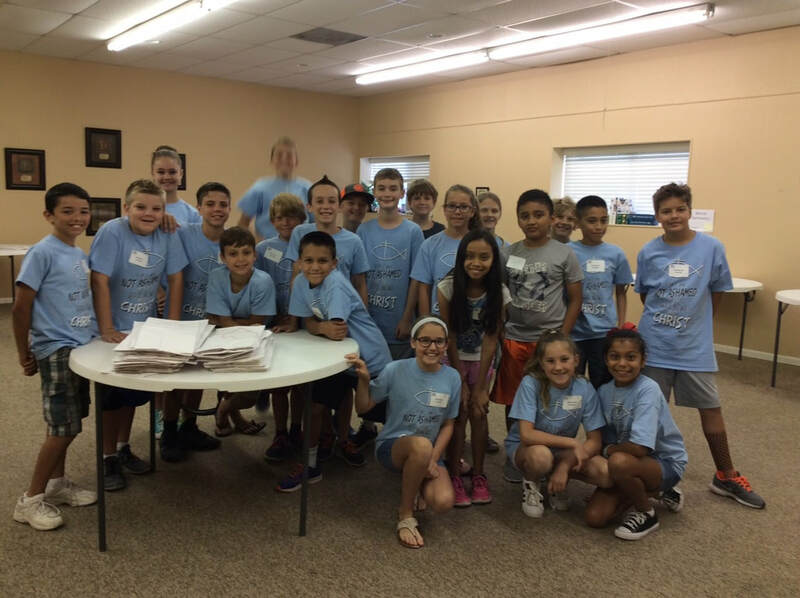 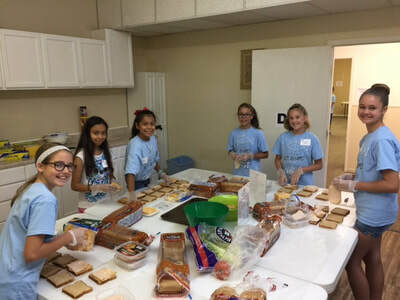 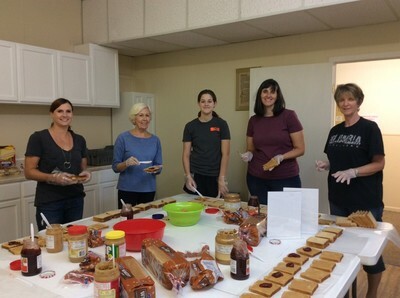 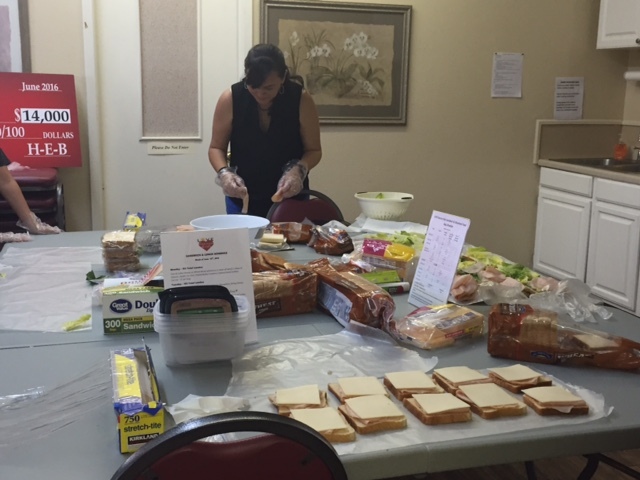 A special thank you to Currey Creek Church who donated and prepared the lunch, funded most of the materials and had a huge work team on site! The Children's Librarian from Patrick Heath Public Library was also out involving children in tales, tunes and crafts!